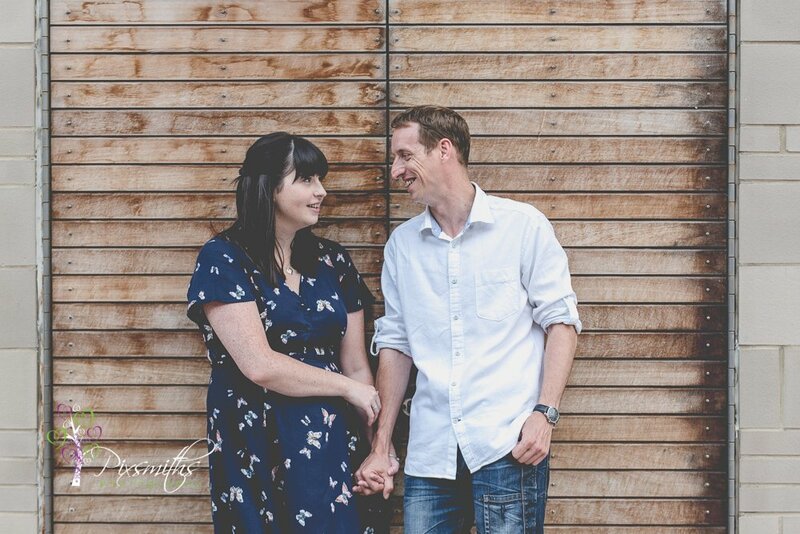 Its not too long til Kathryn and Chris get married. 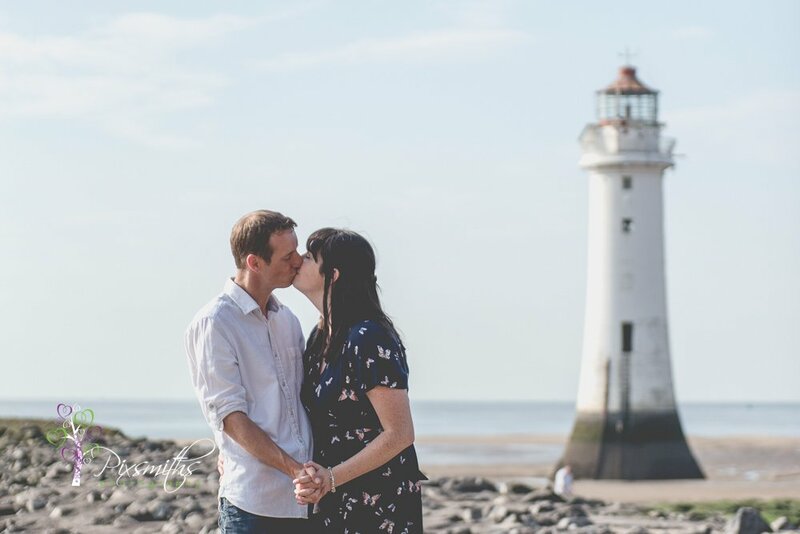 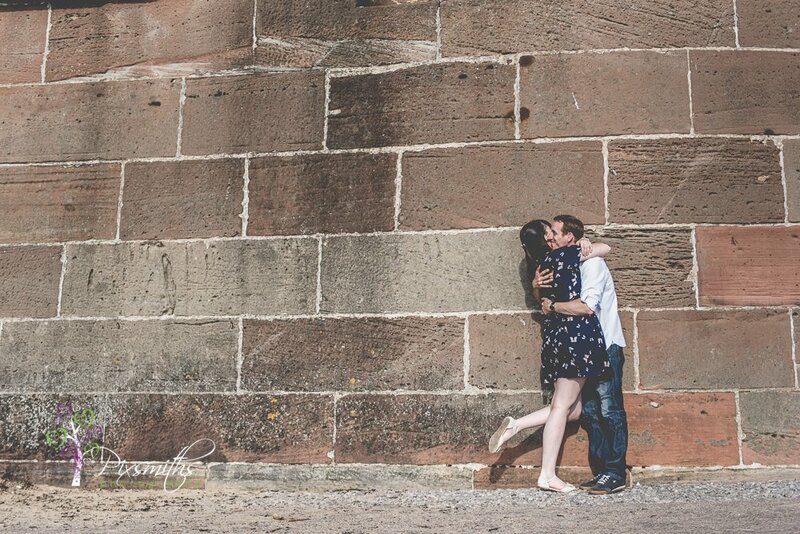 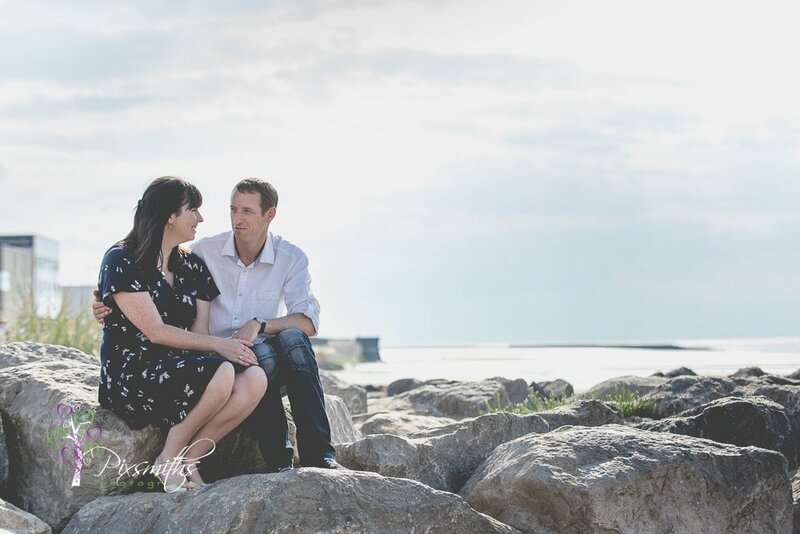 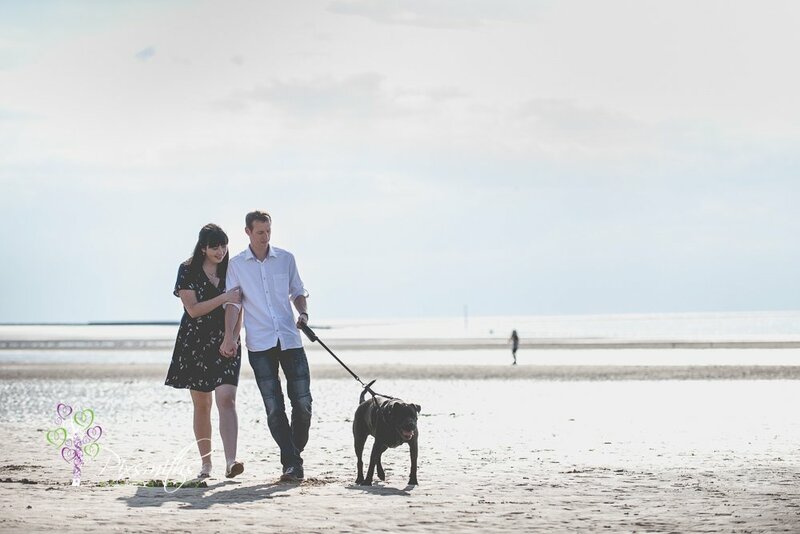 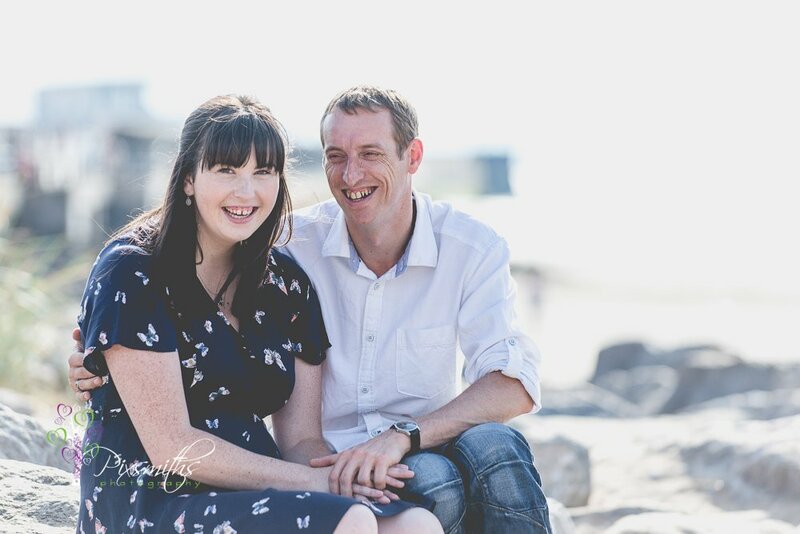 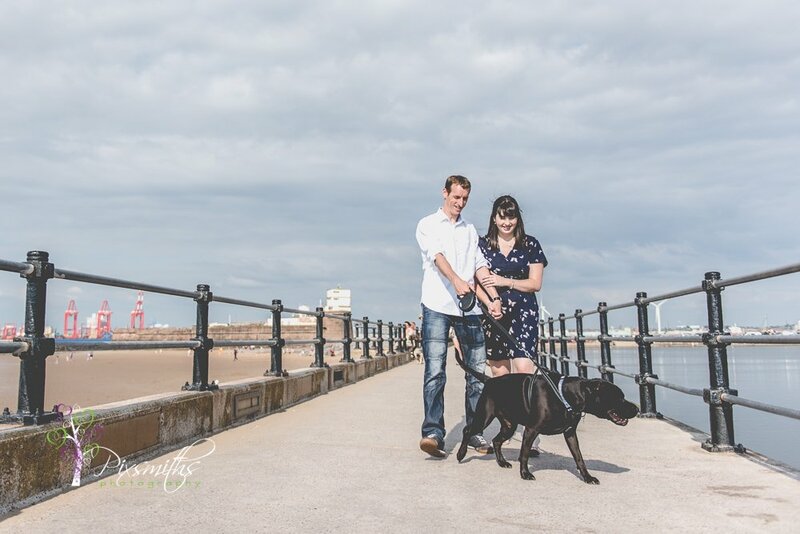 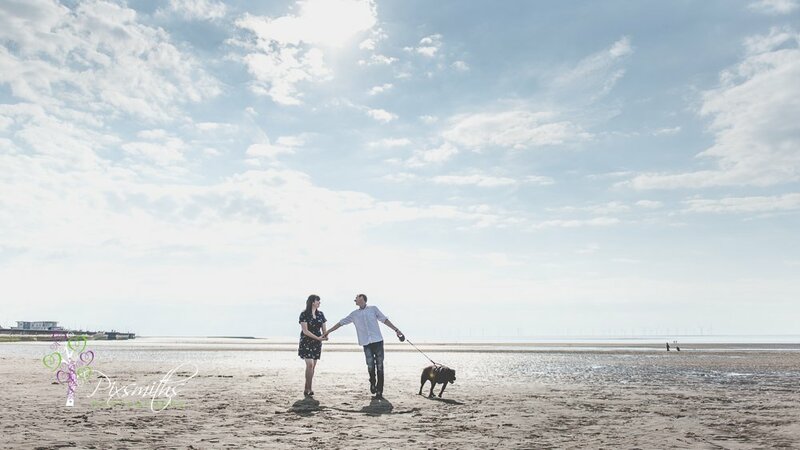 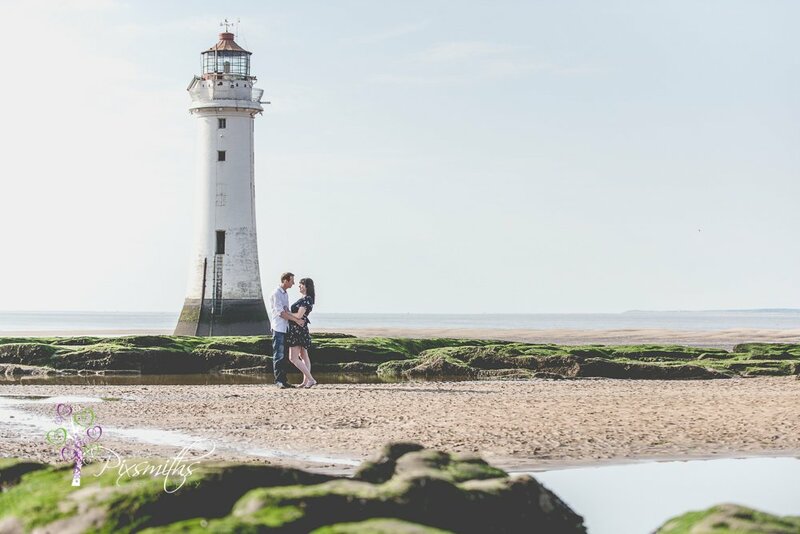 So time last Sunday for a catch up and a pre wed shoot -New Brighton was their chosen location. 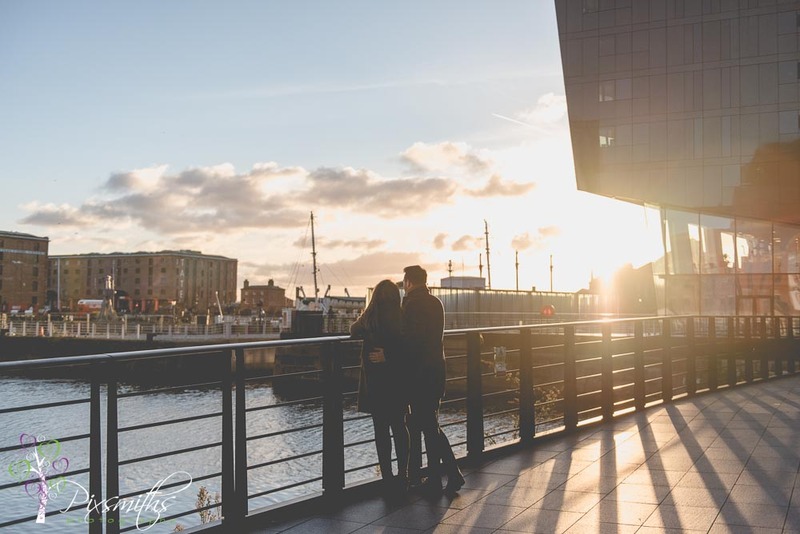 It was the final of the World cup Final so teh bars were a little busy! 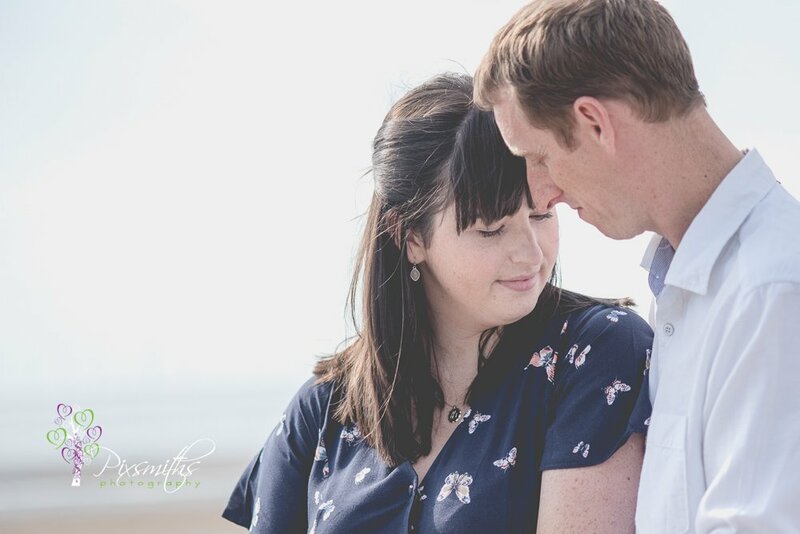 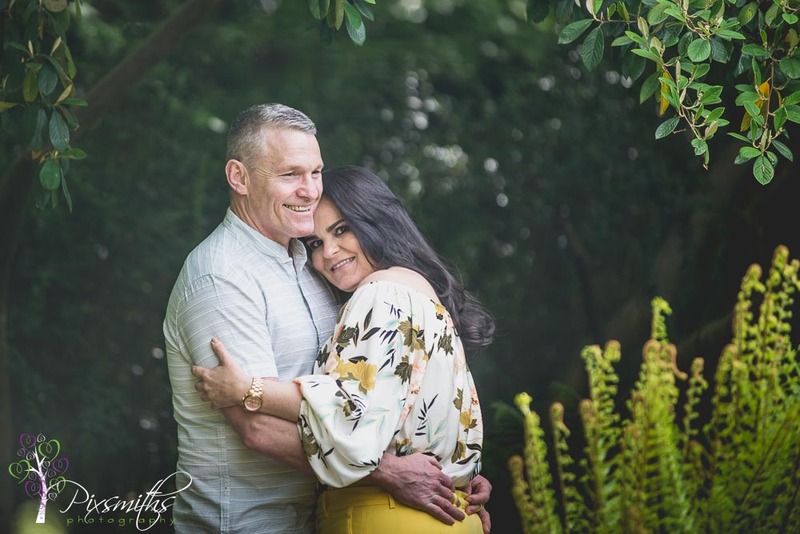 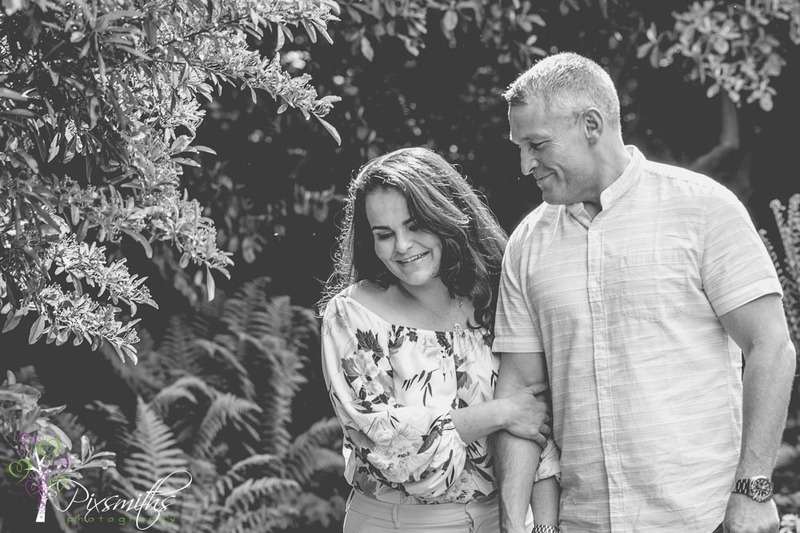 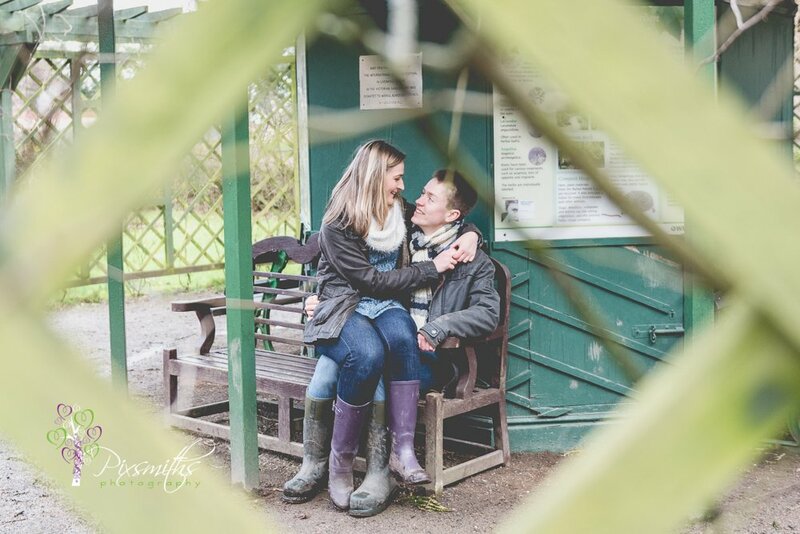 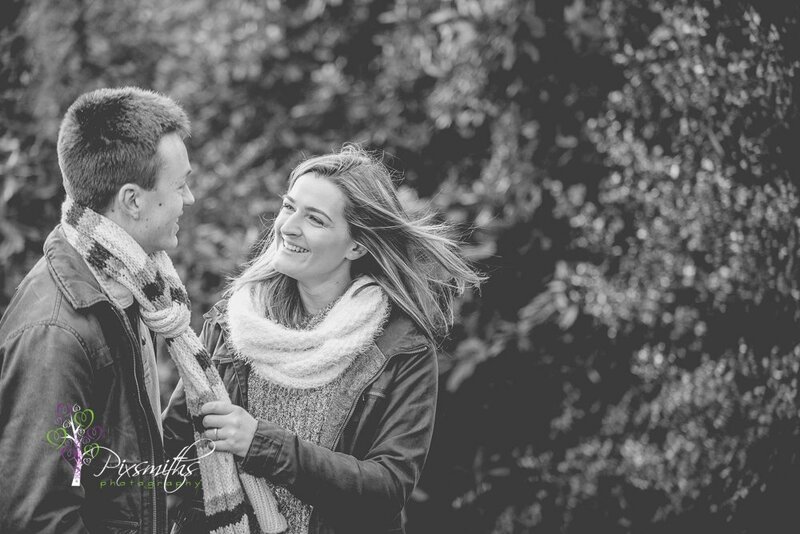 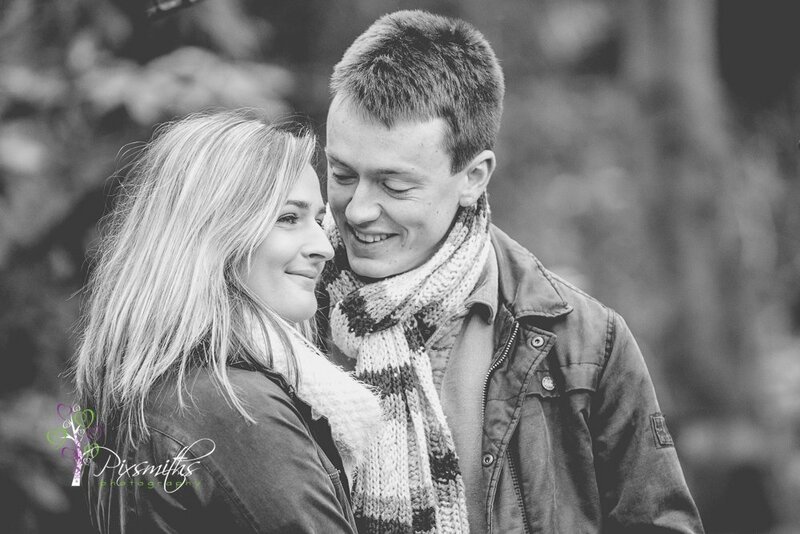 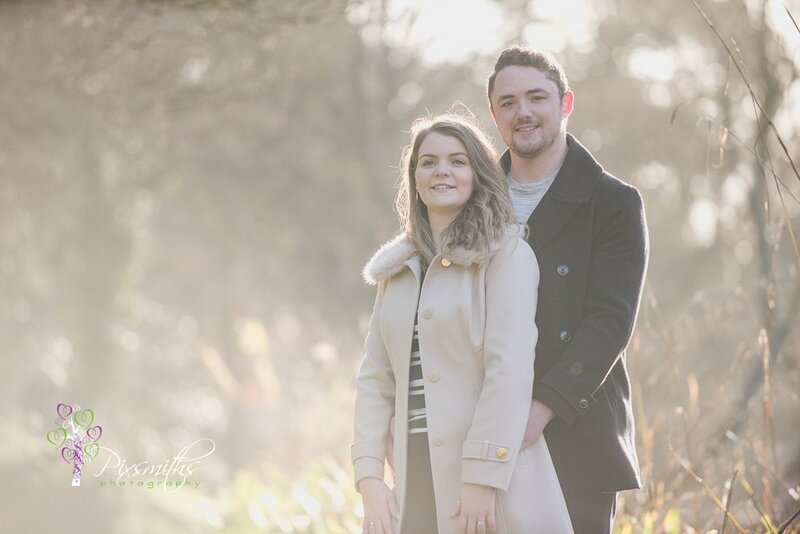 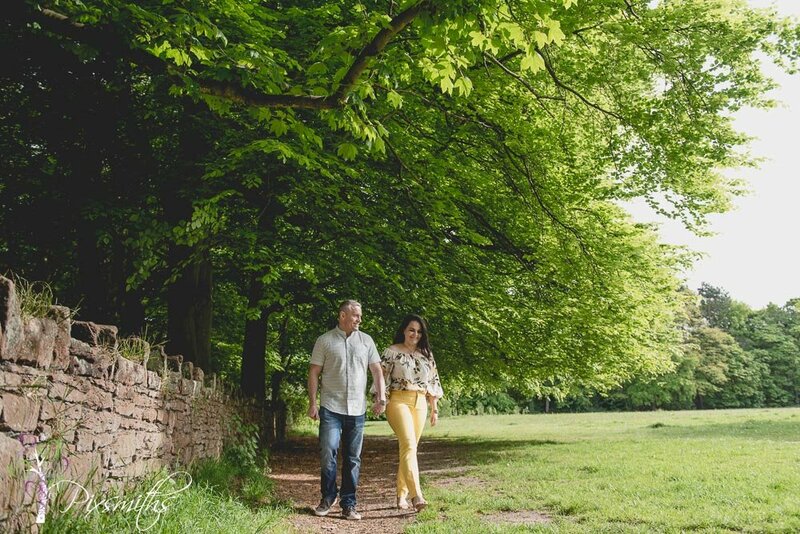 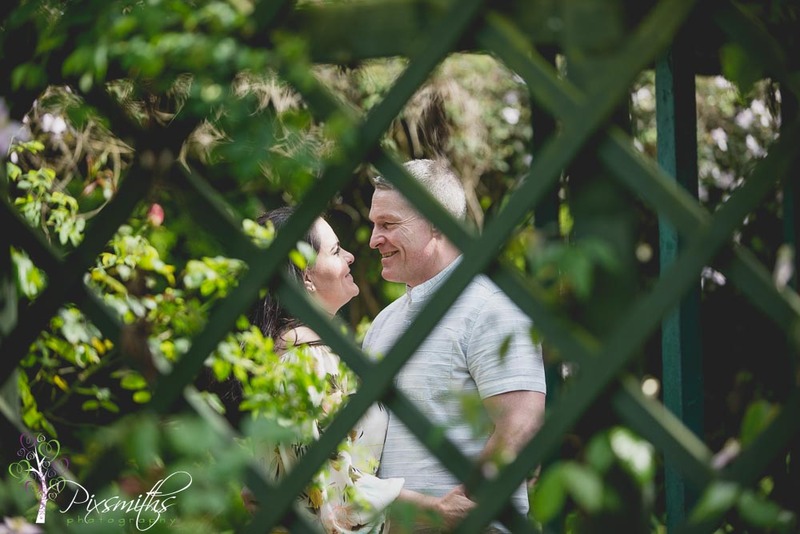 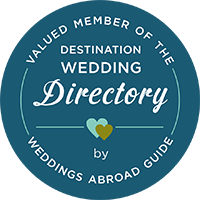 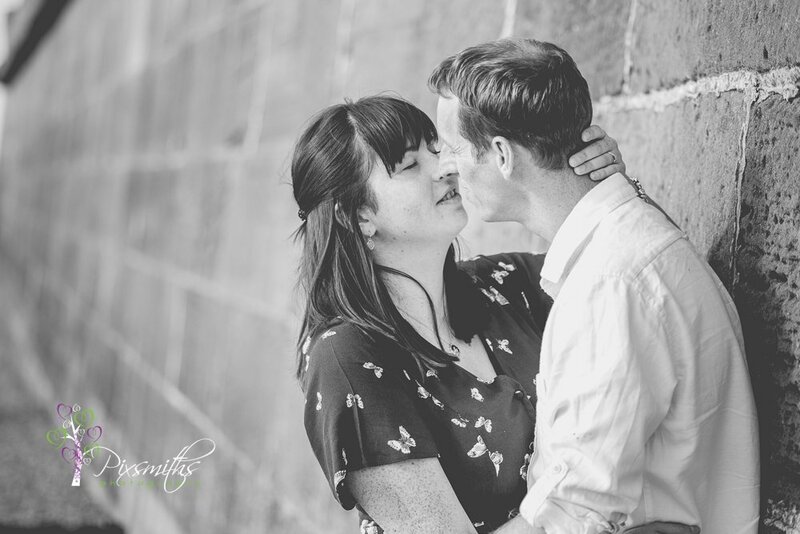 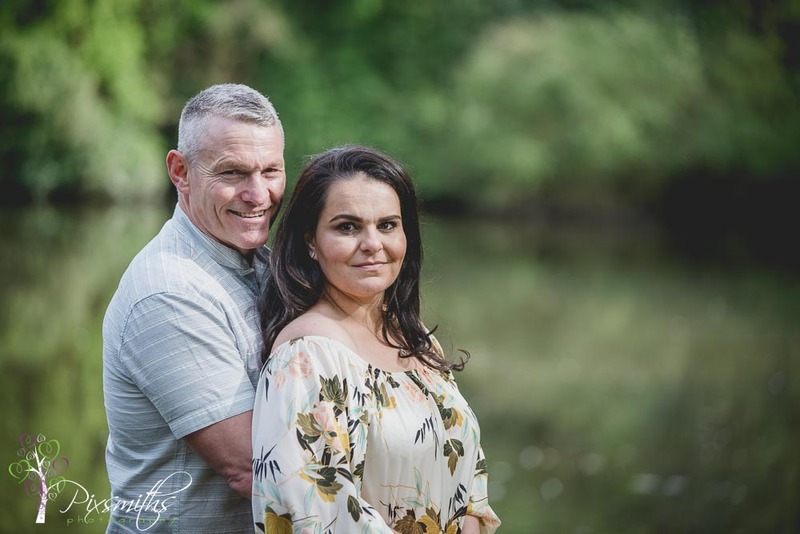 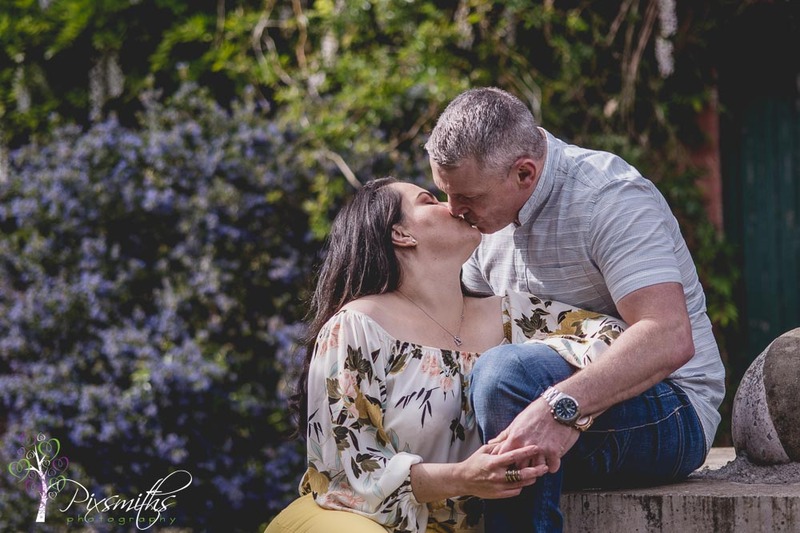 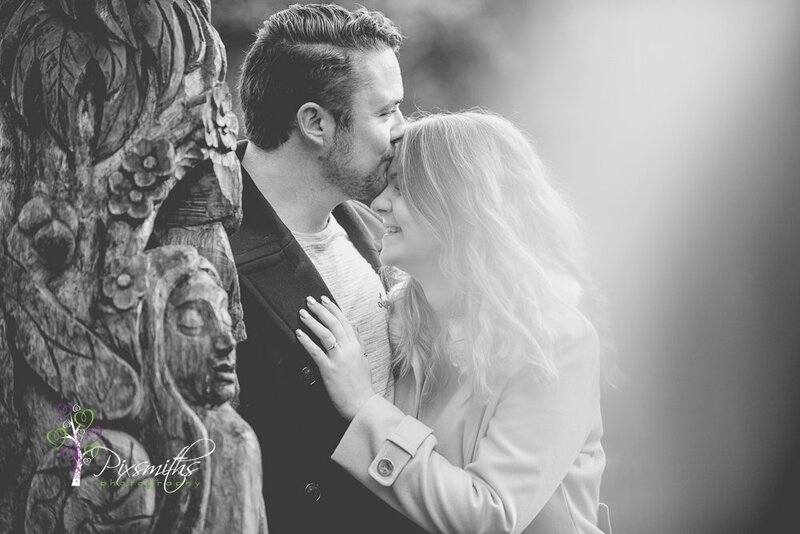 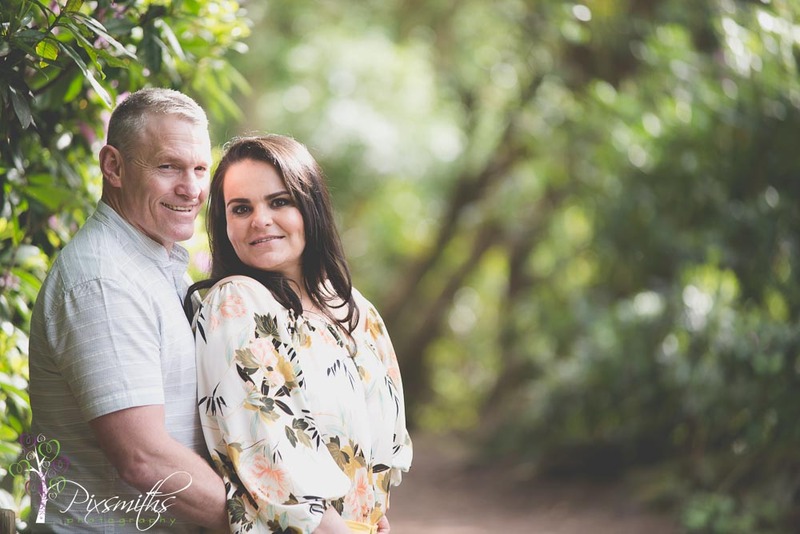 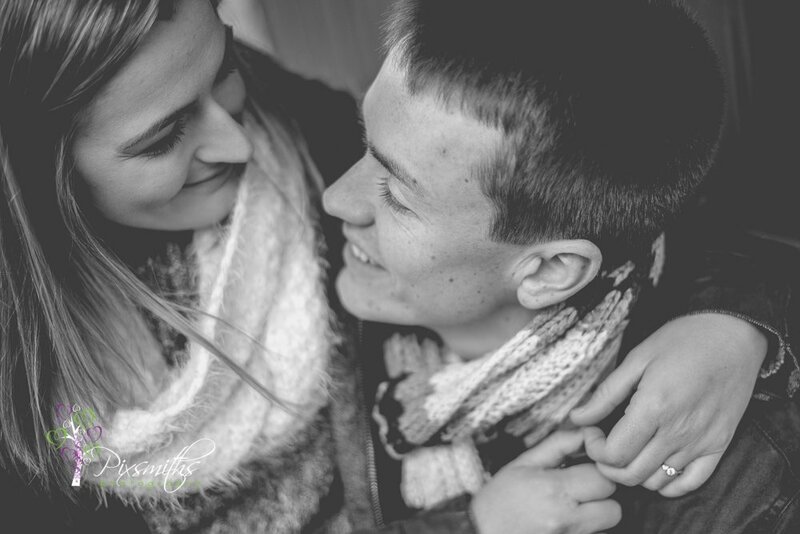 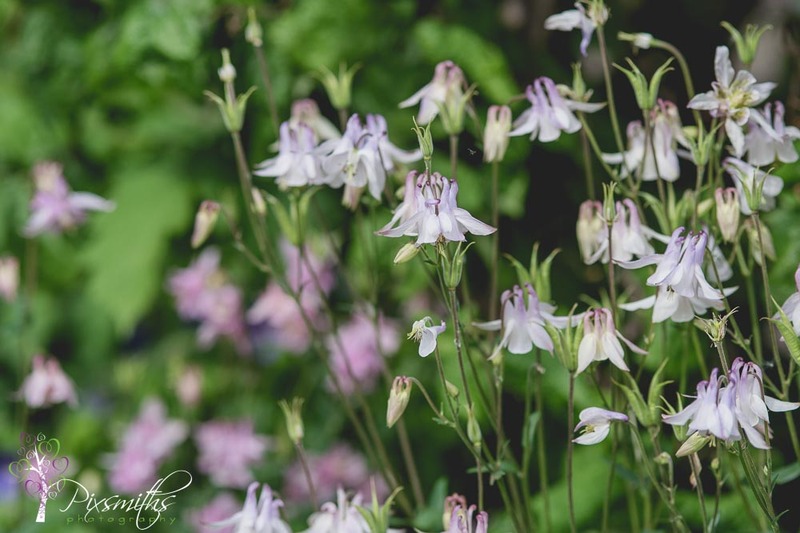 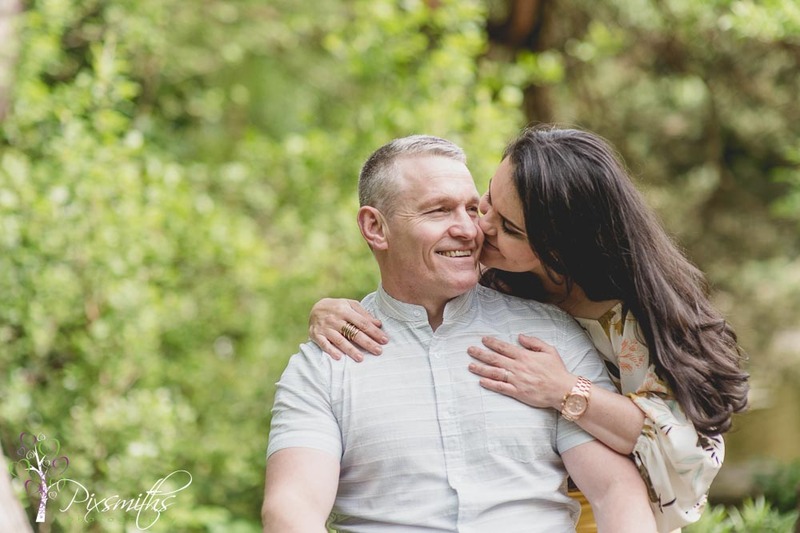 More importantly it was Kathryn’s birthday – what a lovely way to spend an hour or so by getting some gorgeous images with your partner. 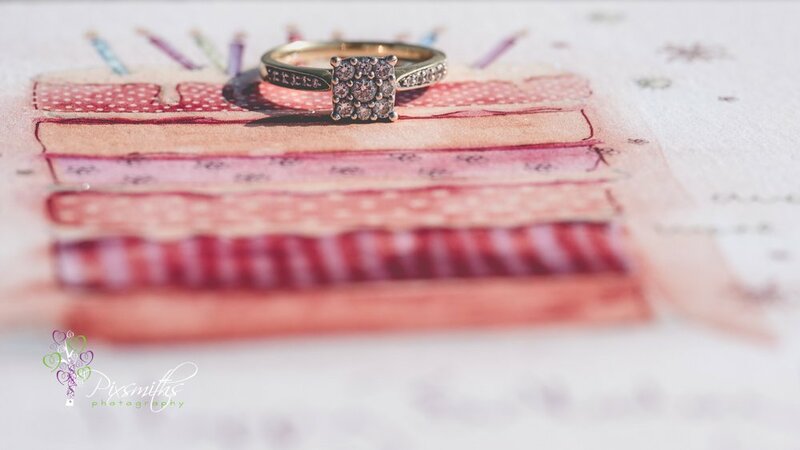 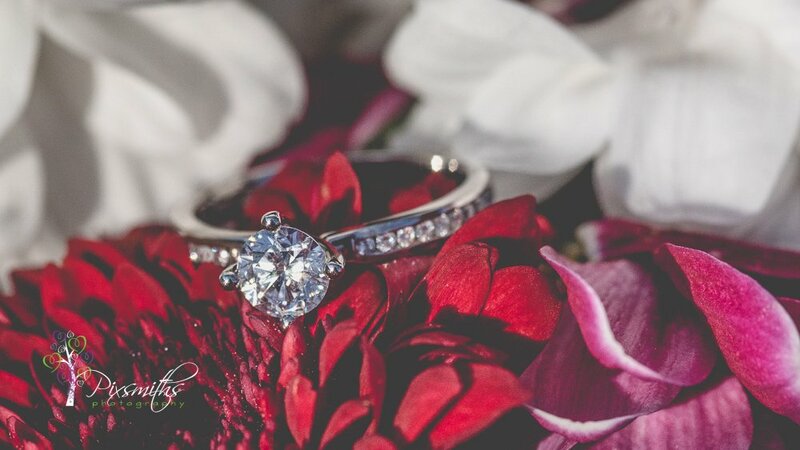 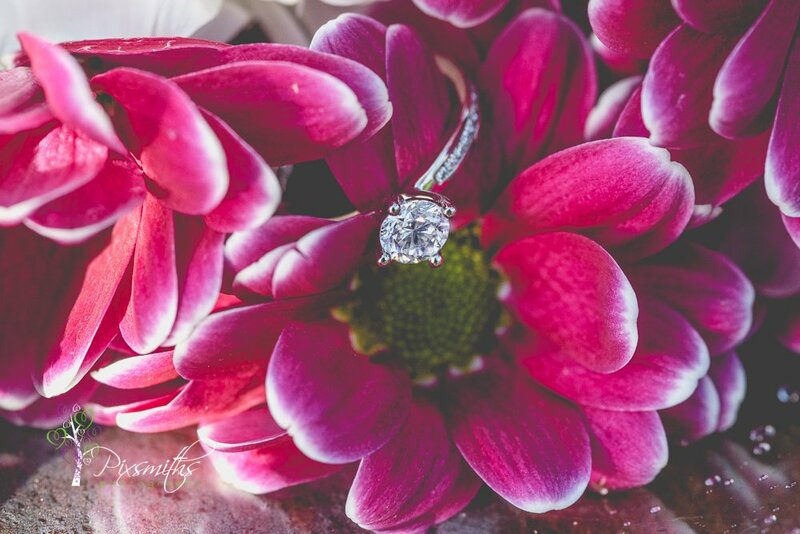 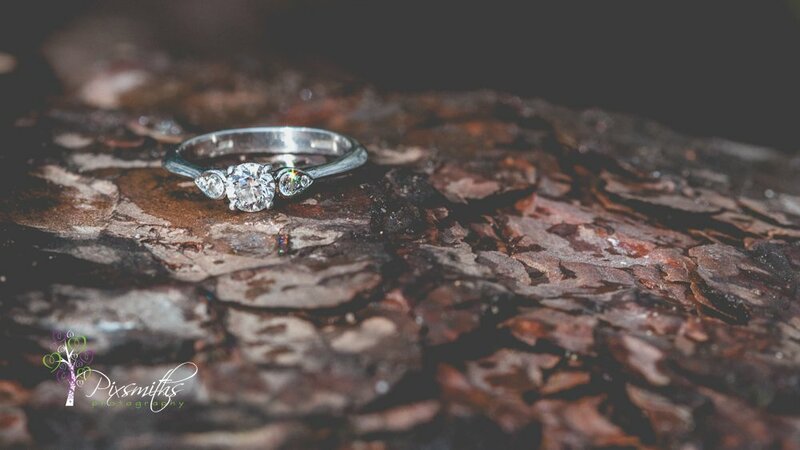 We used a birthday card with cake motif as an impromptu background for a ring shot. 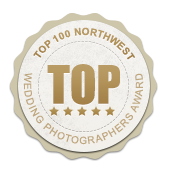 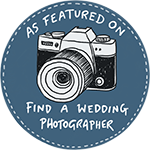 Chris is a trained photographer himself so a real compliment that they booked us for the wedding. 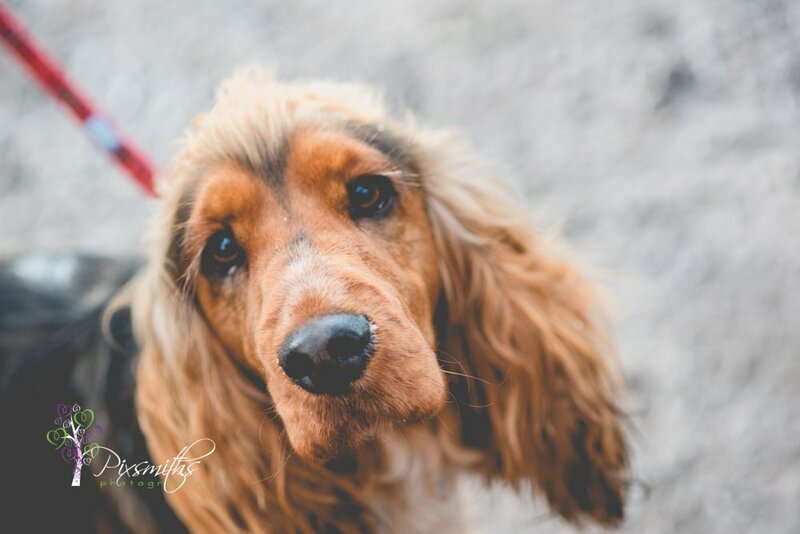 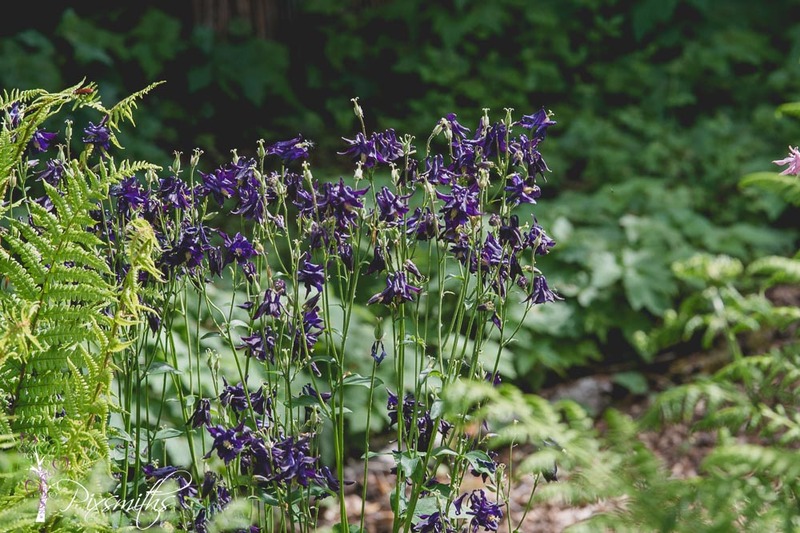 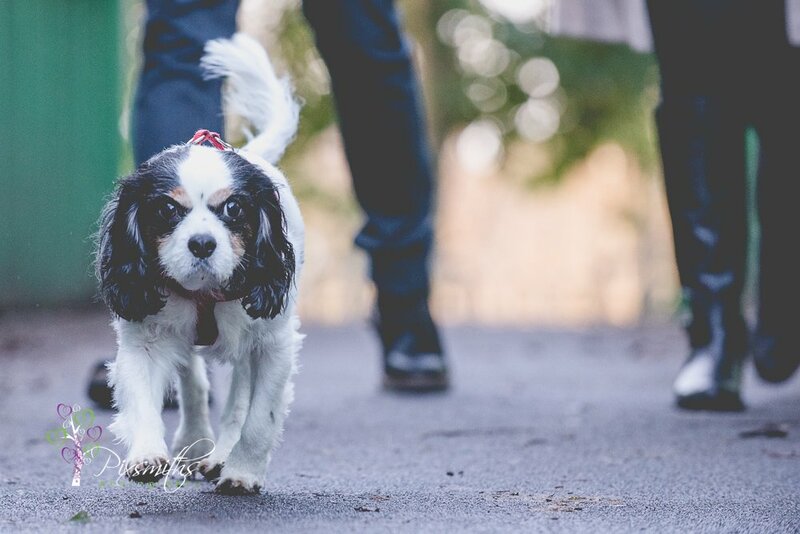 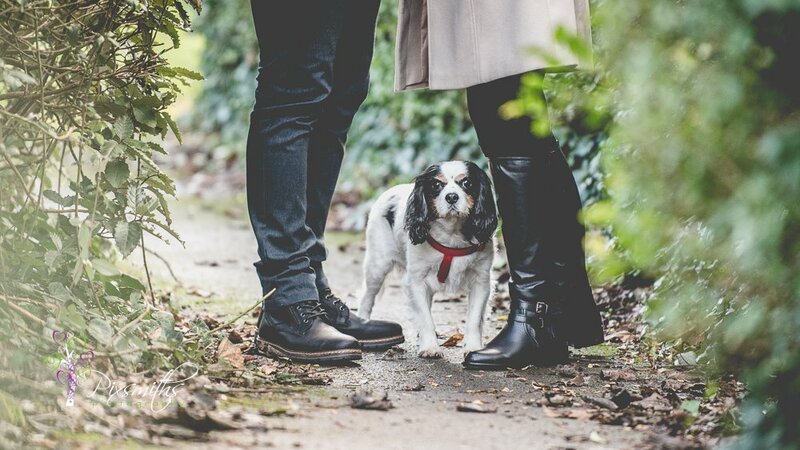 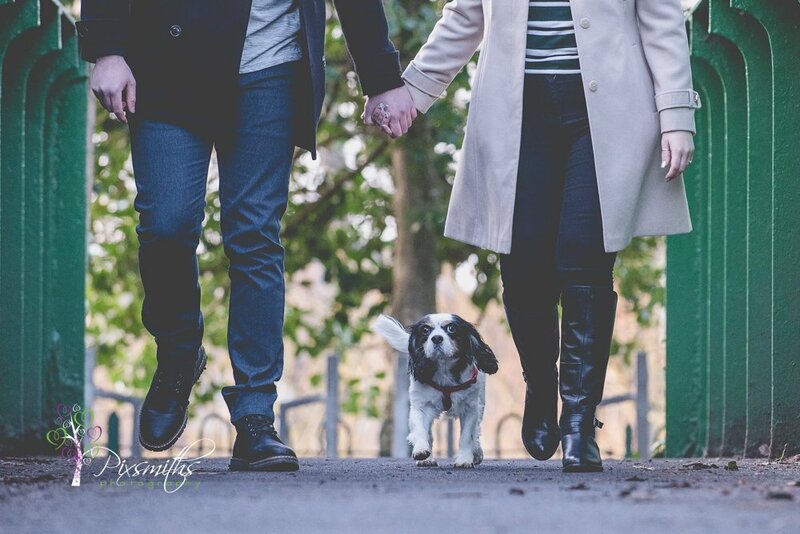 The shoot was late afternoon, still gorgeous light, and we were accompanied by their fur baby Mac. 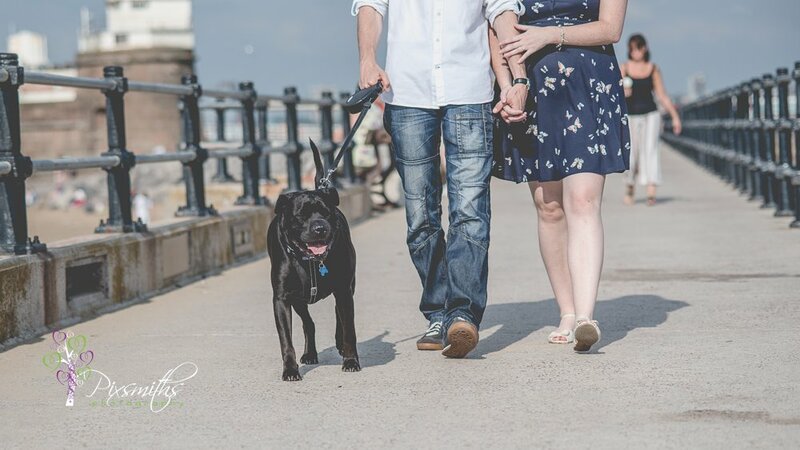 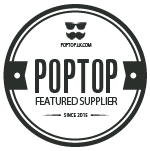 Now Mac is going to play an important role on the day…but we will save that for the wedding blog. 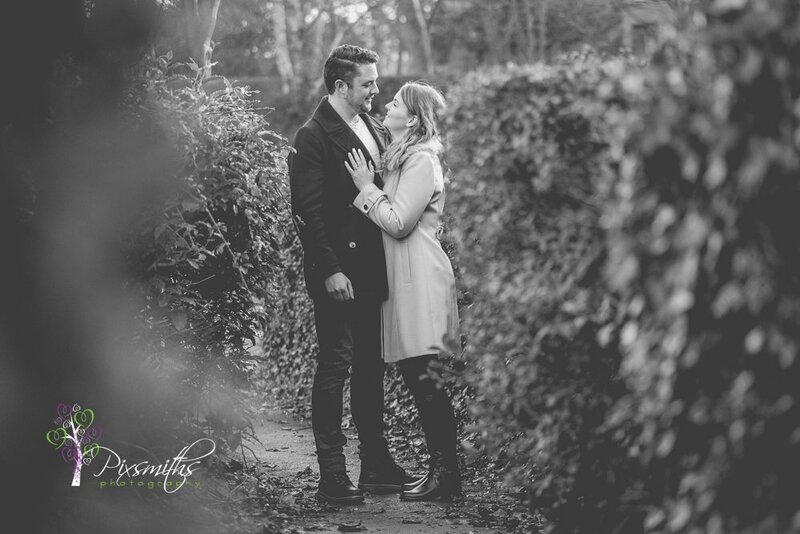 Speedy editing from this shoot and gallery was uploaded Monday night! 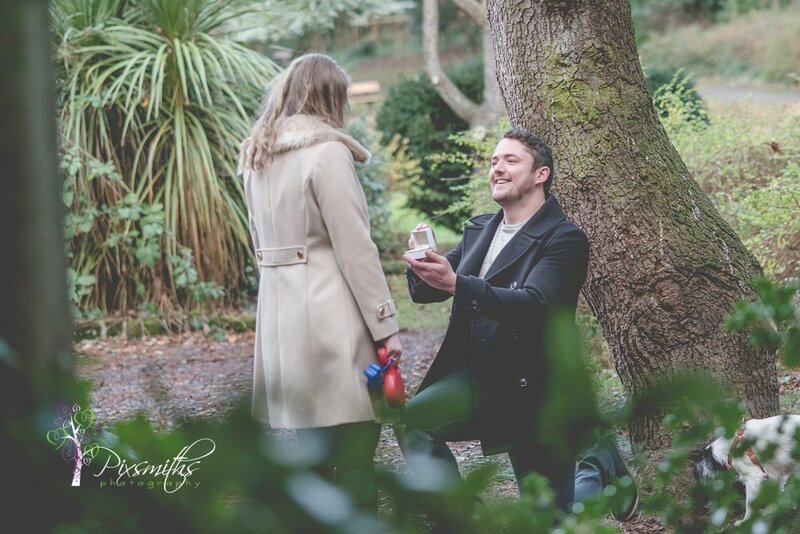 A received well and here a re a few of the highlights. 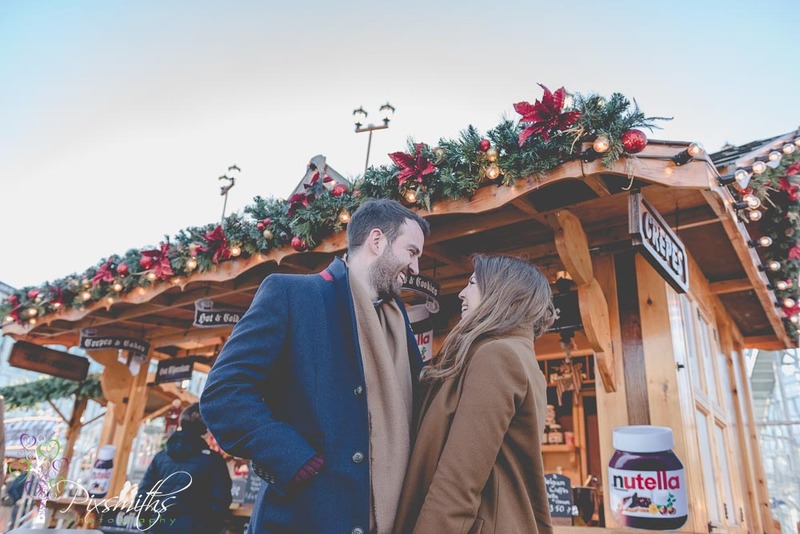 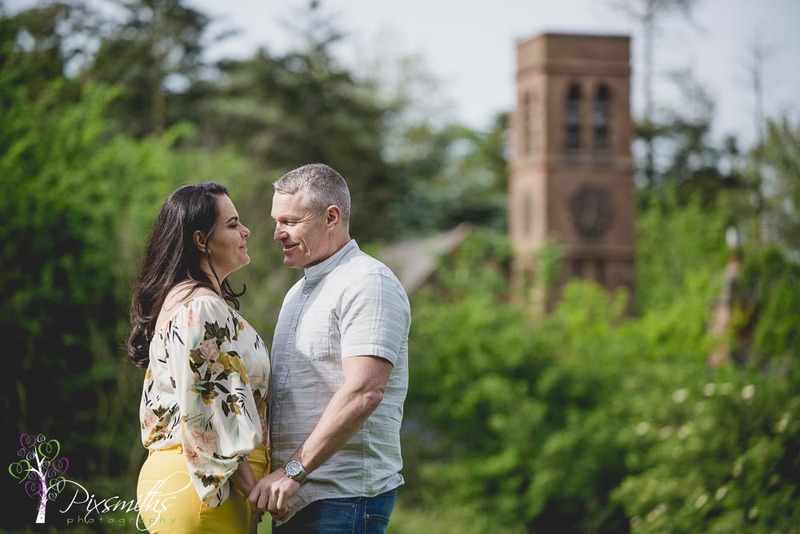 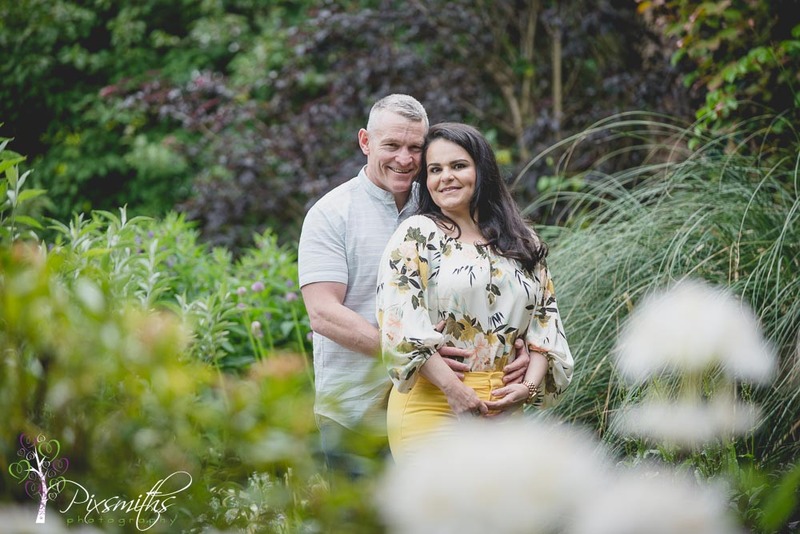 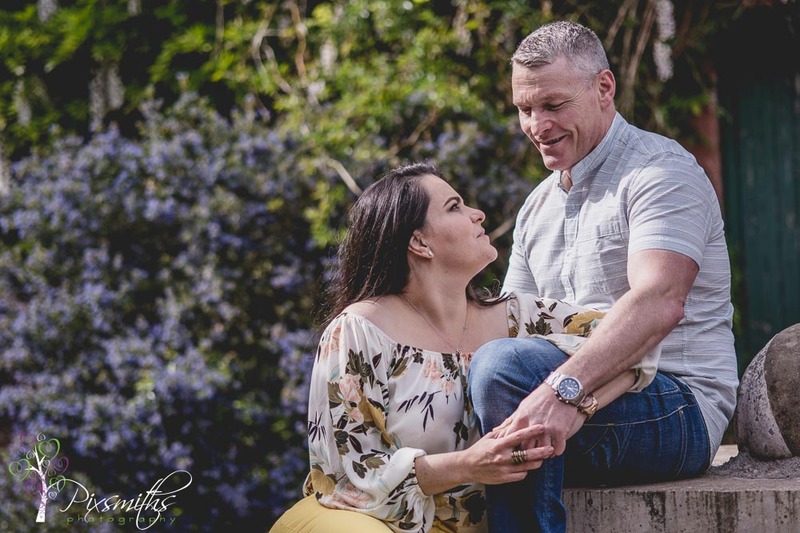 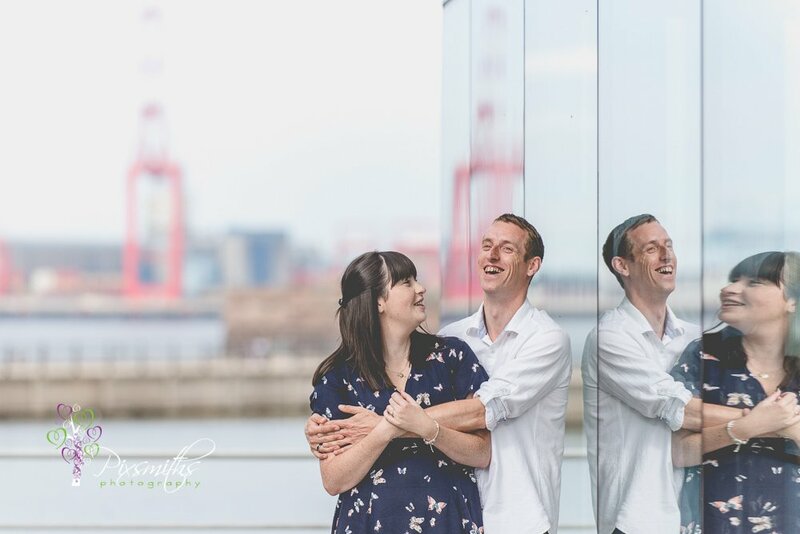 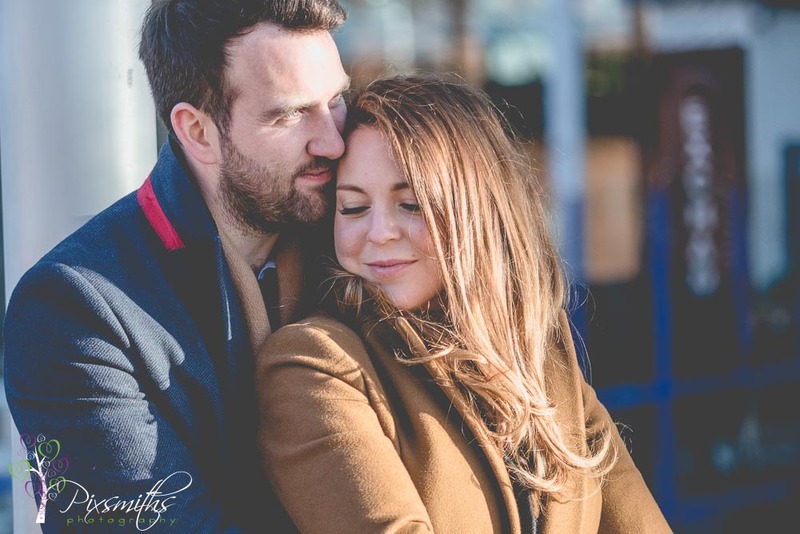 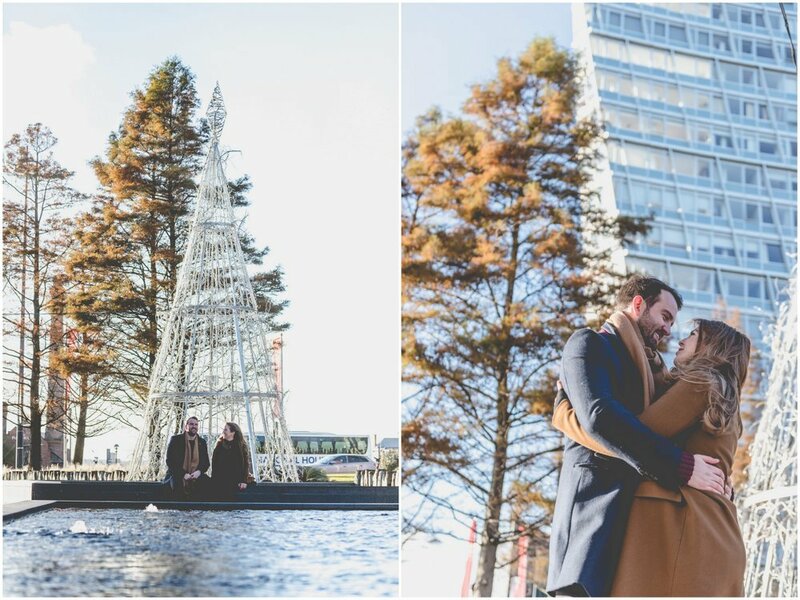 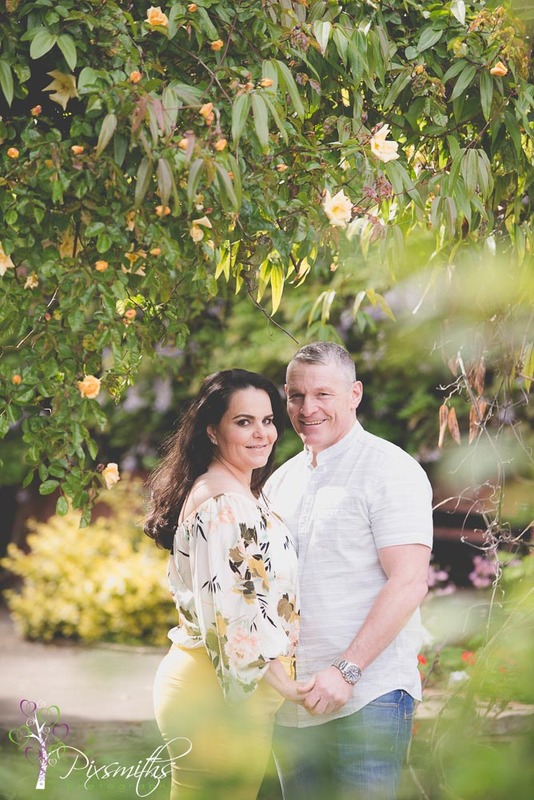 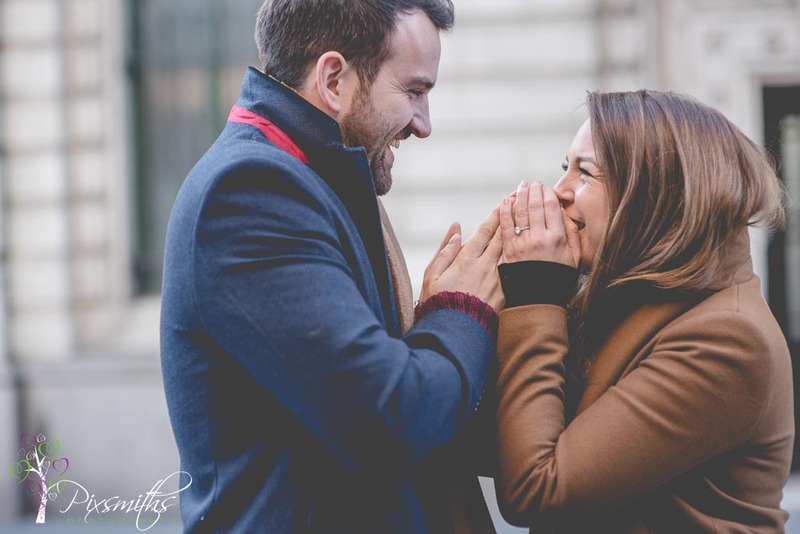 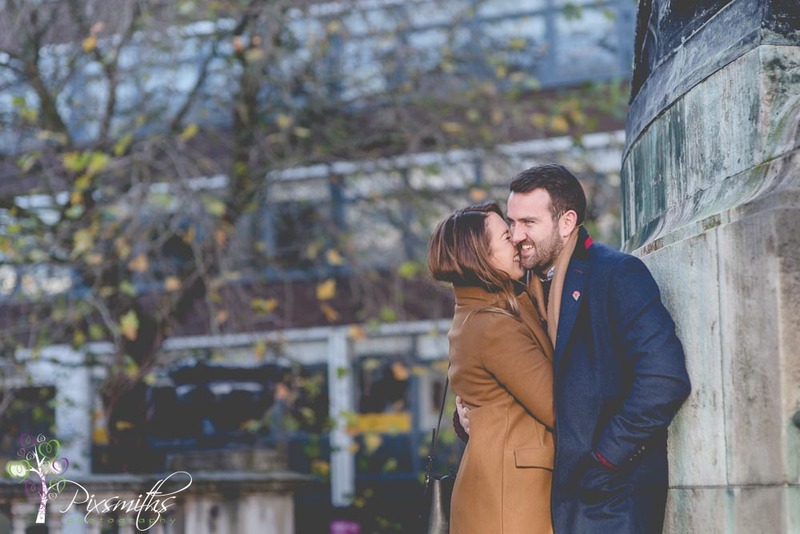 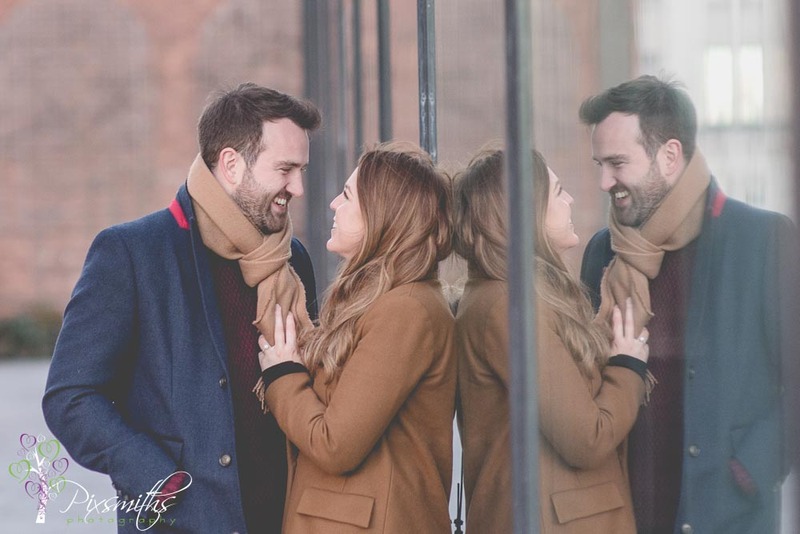 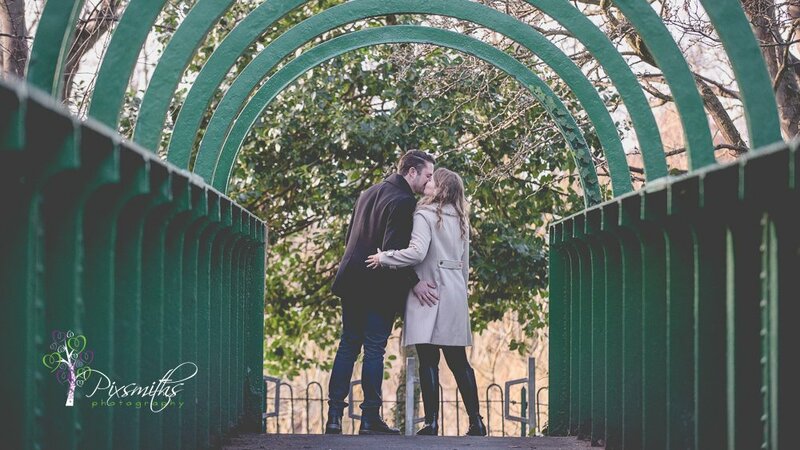 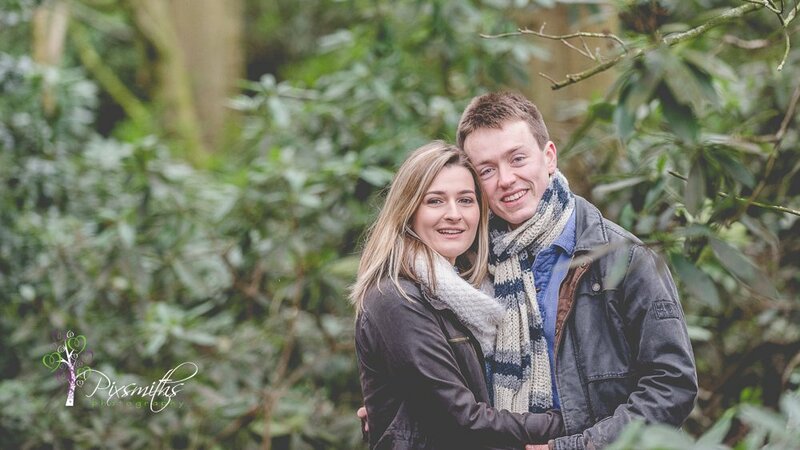 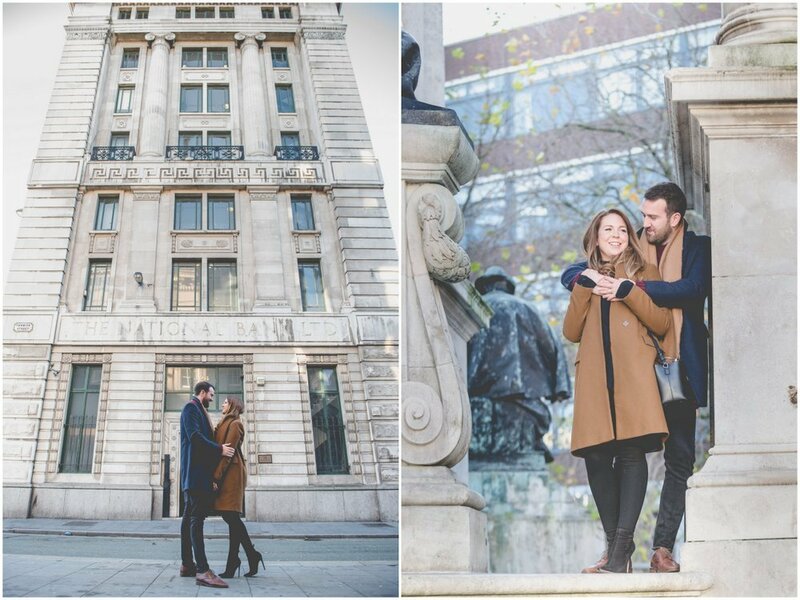 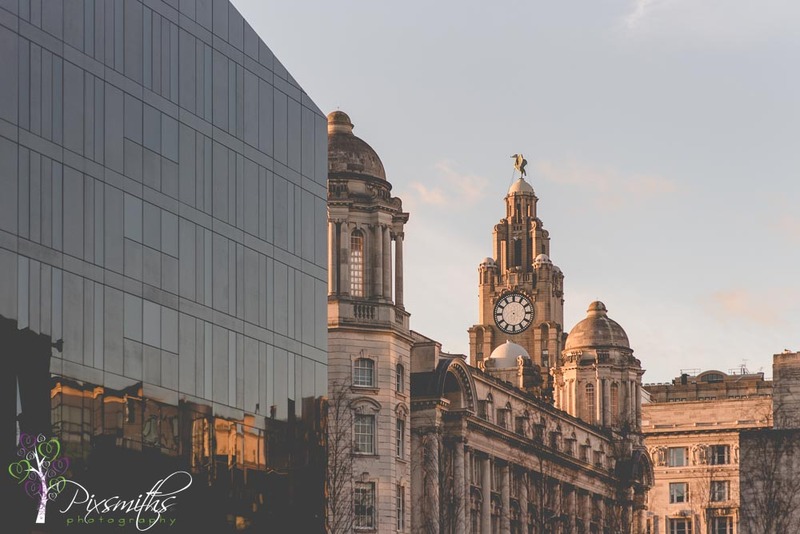 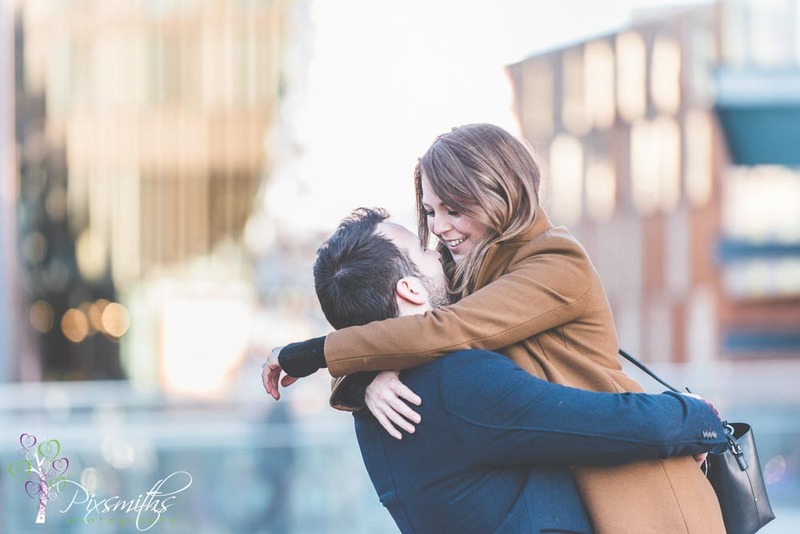 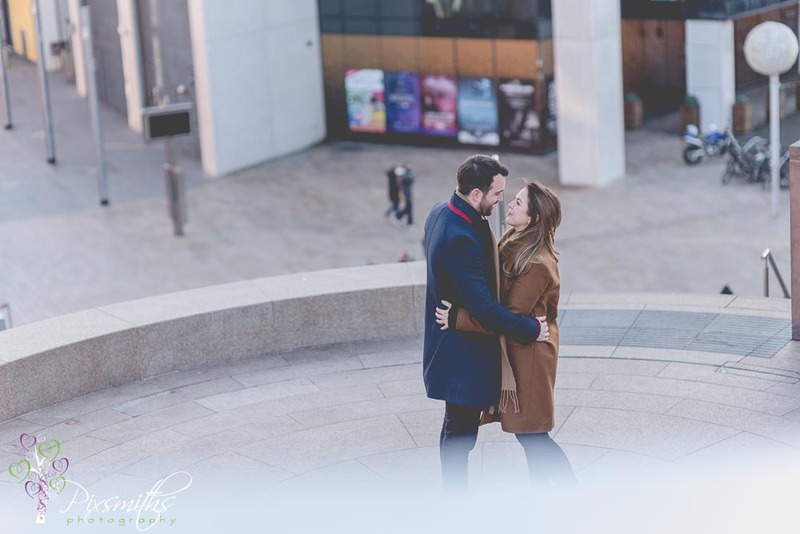 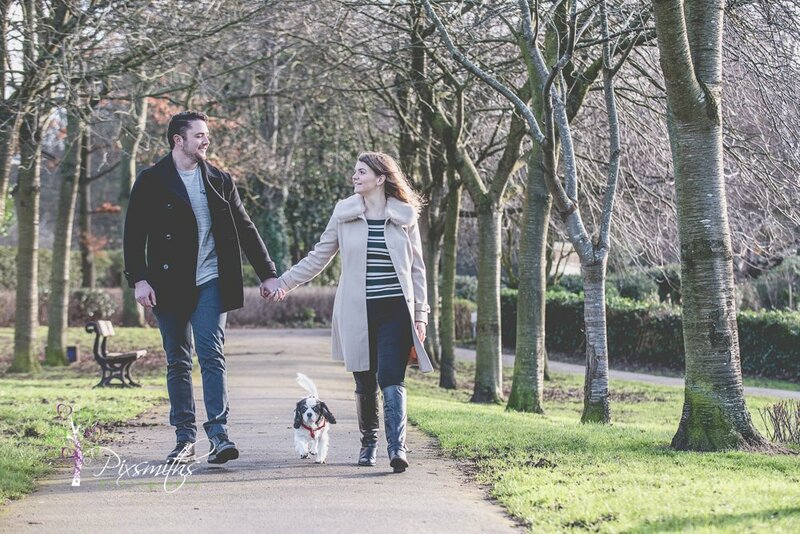 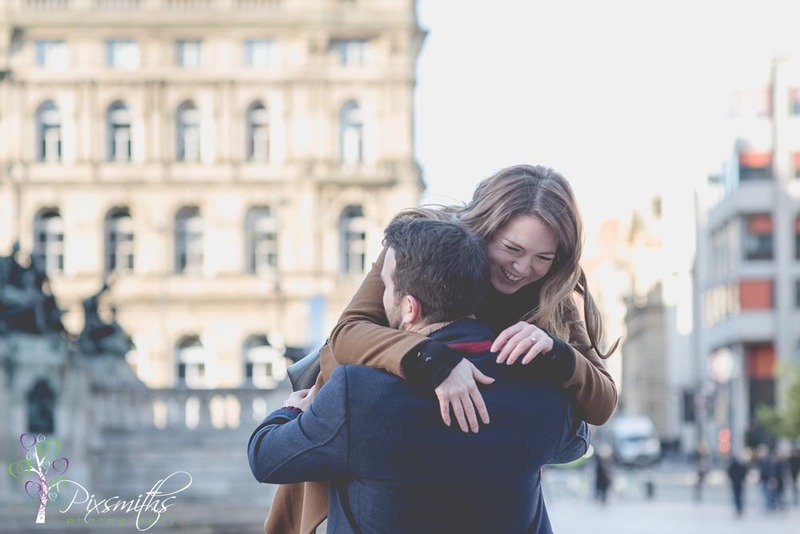 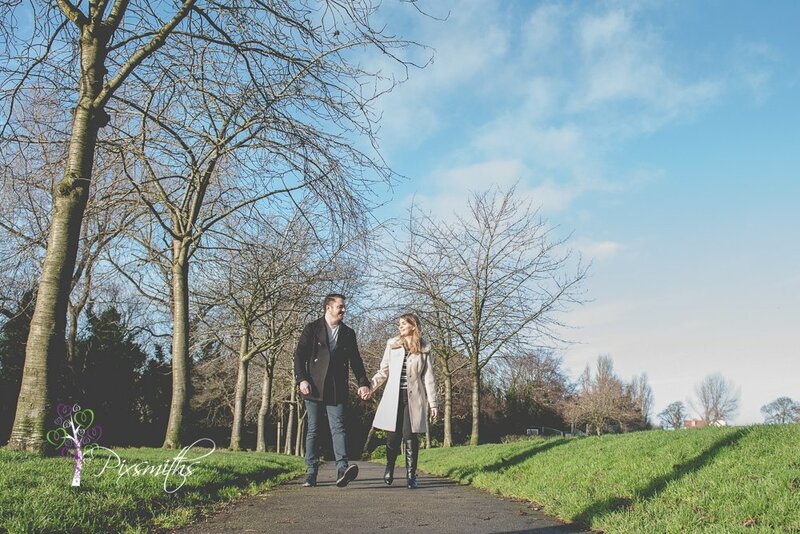 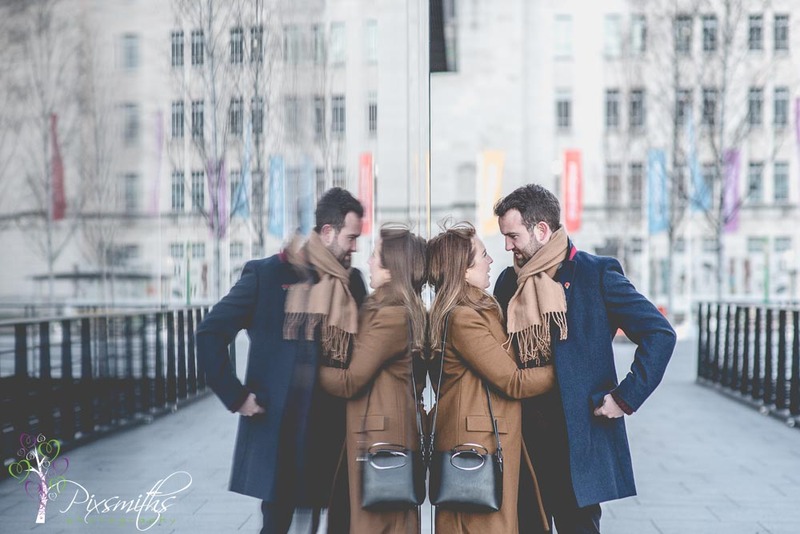 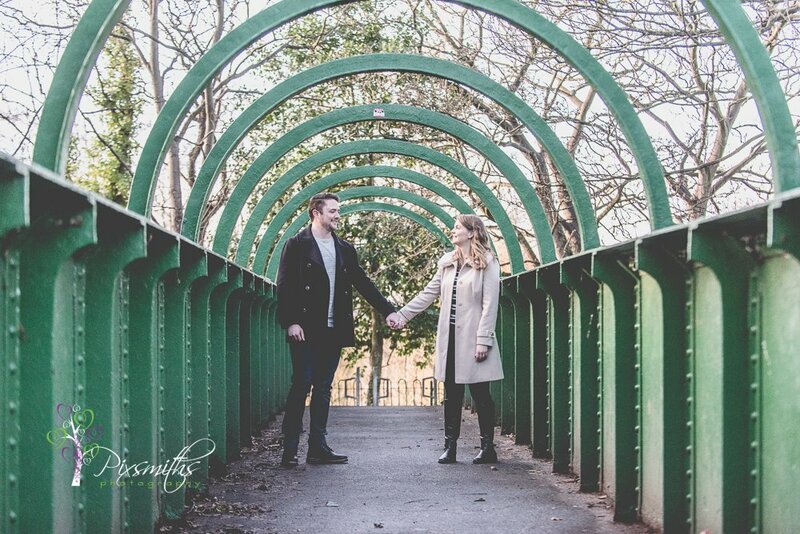 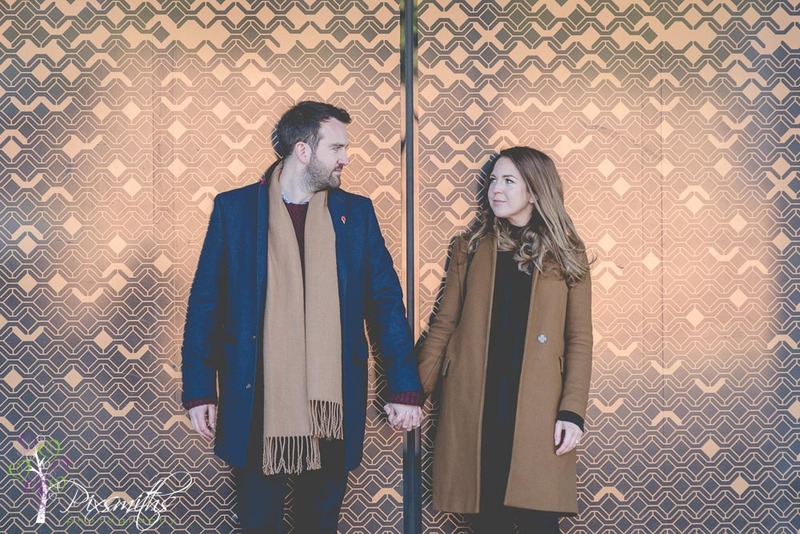 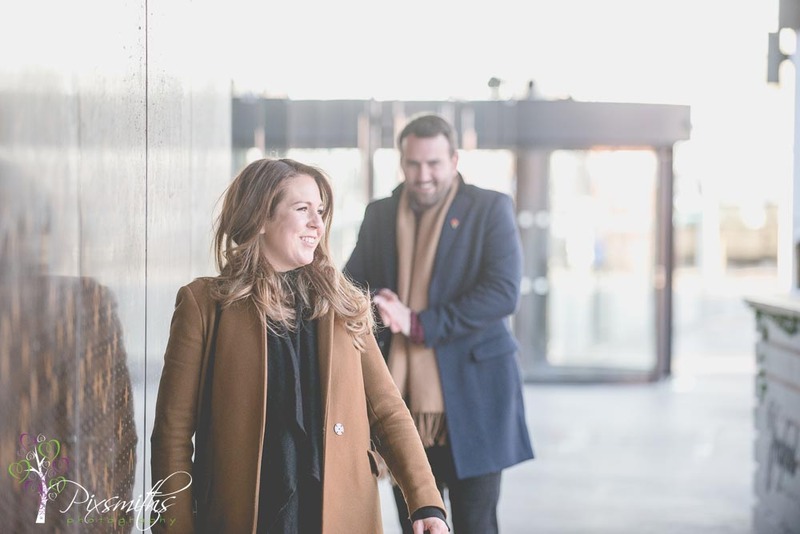 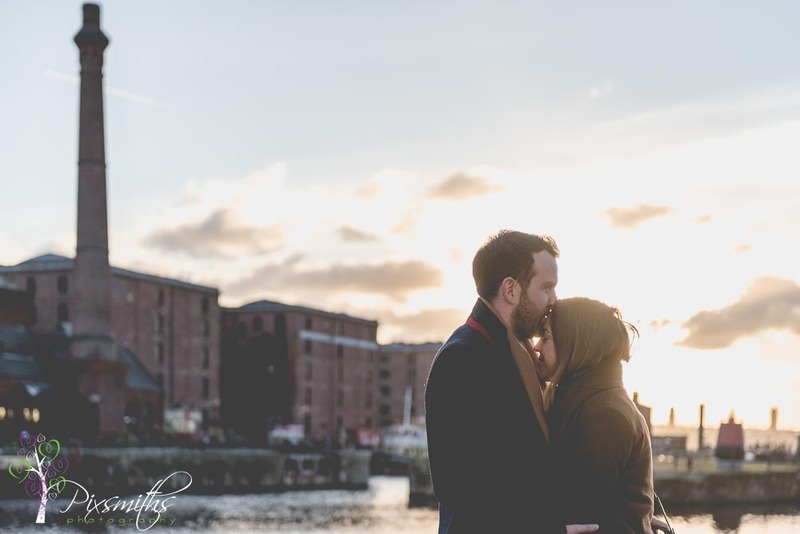 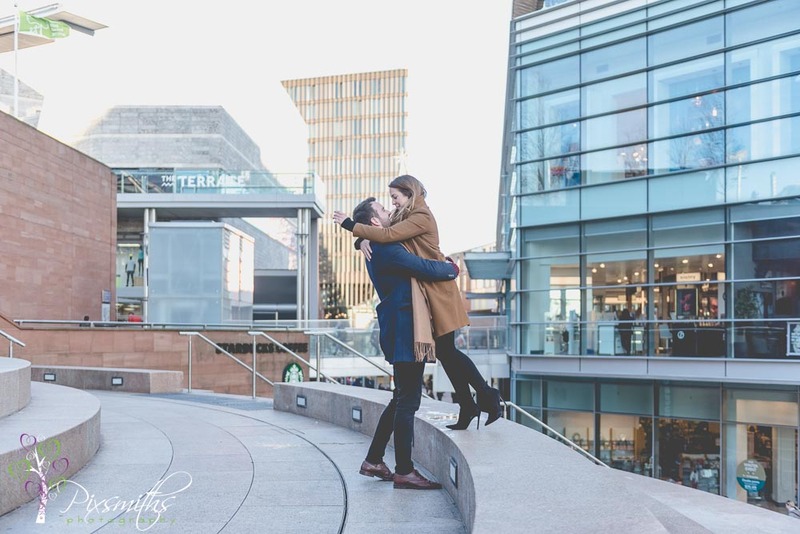 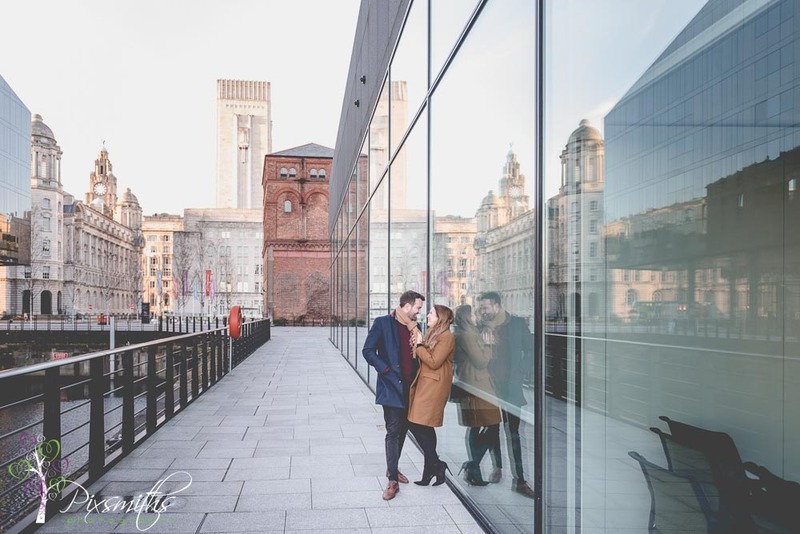 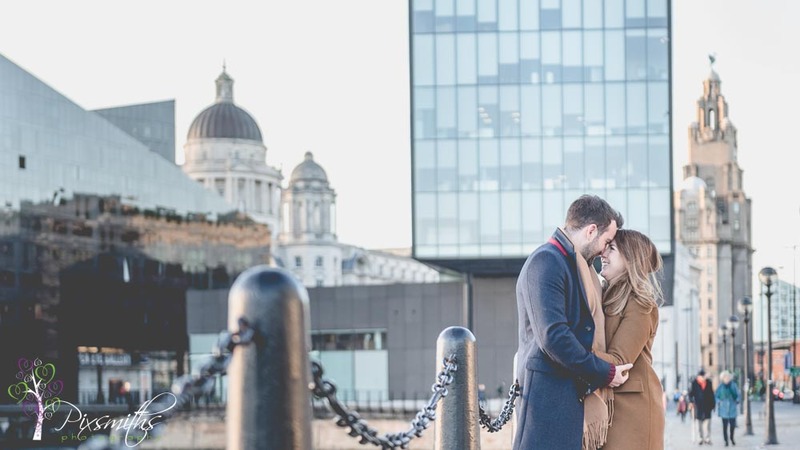 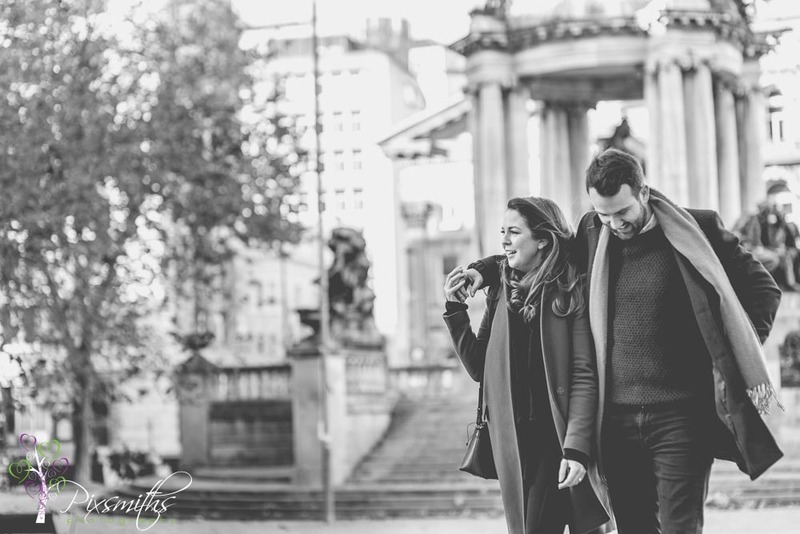 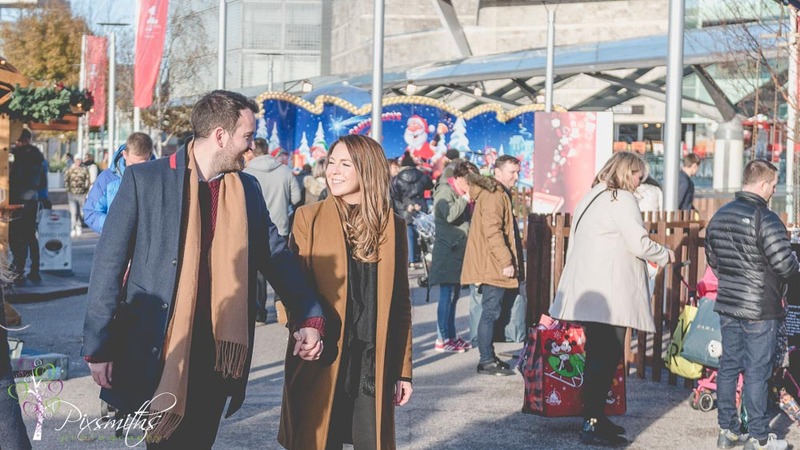 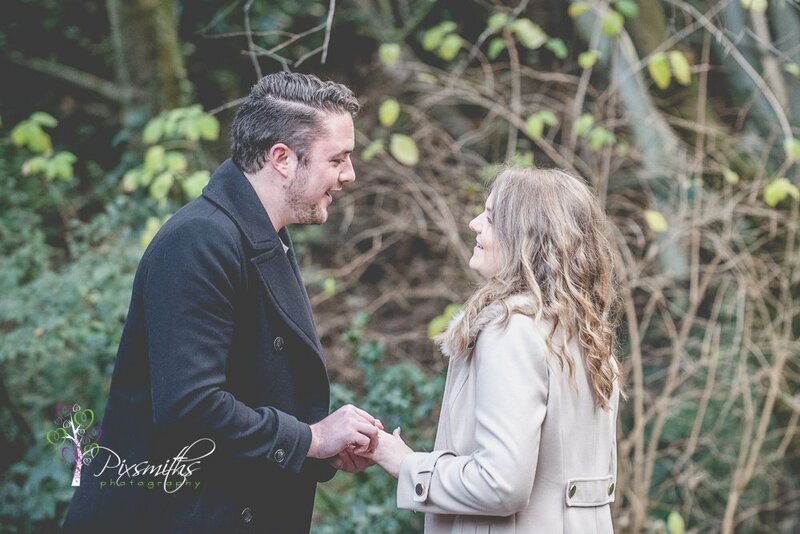 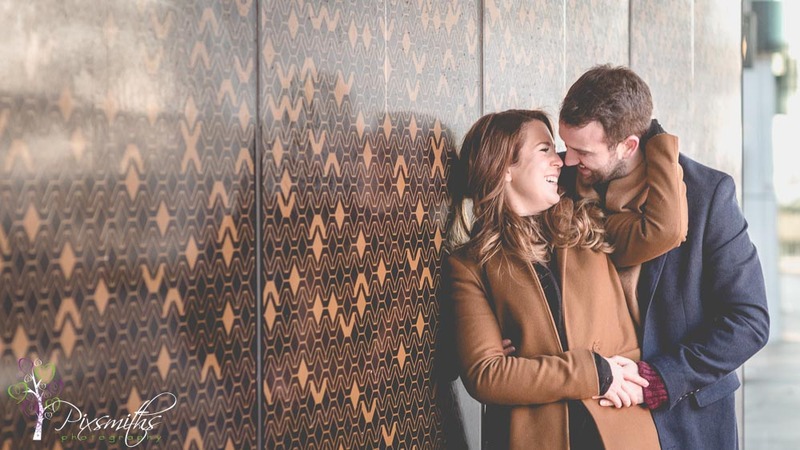 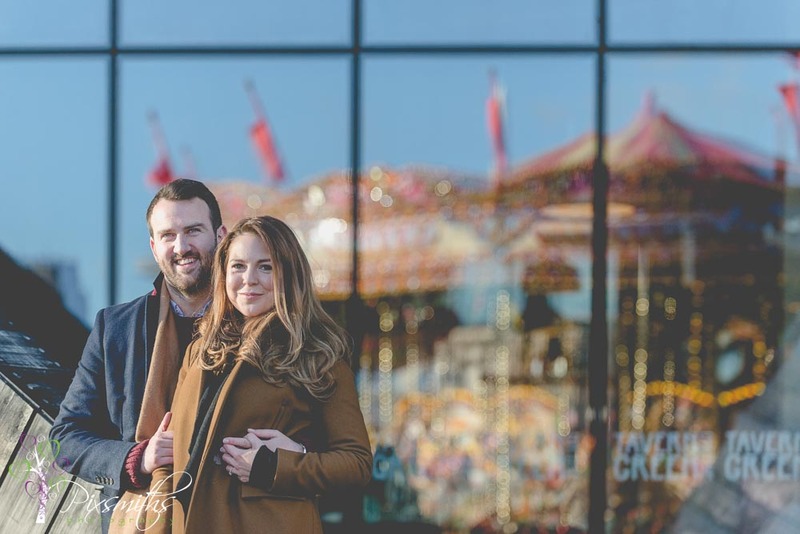 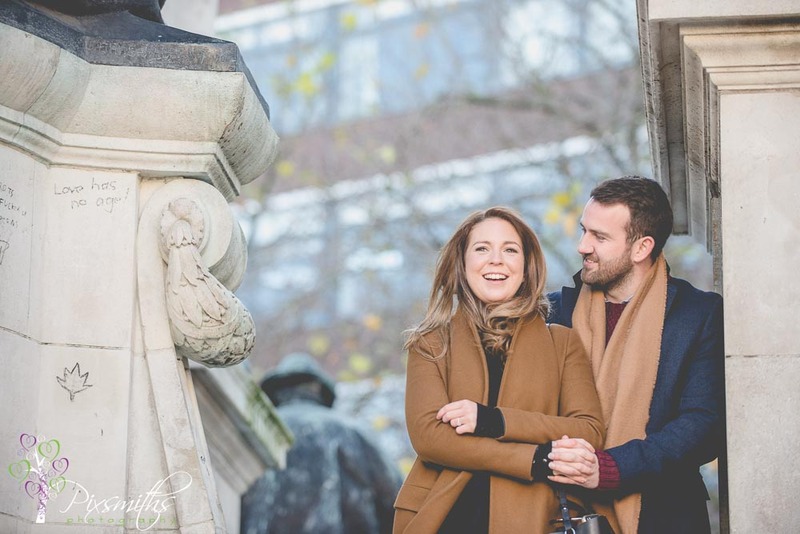 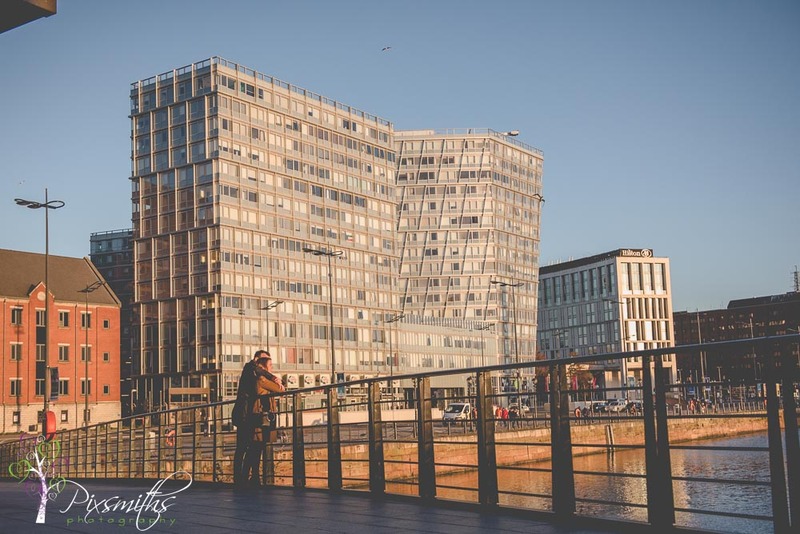 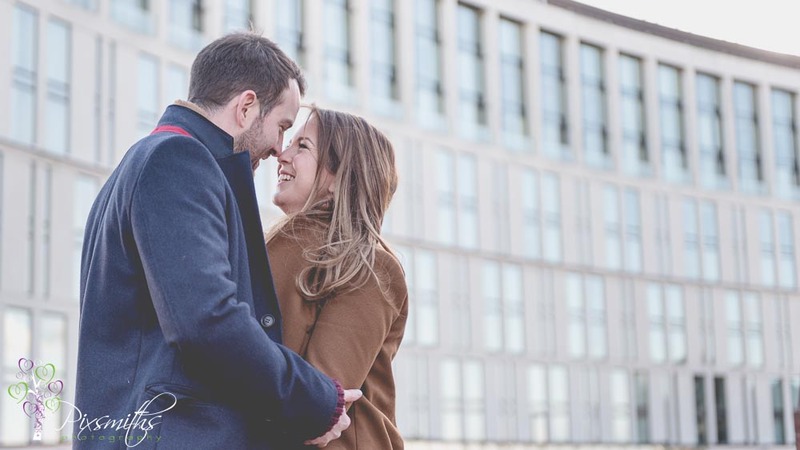 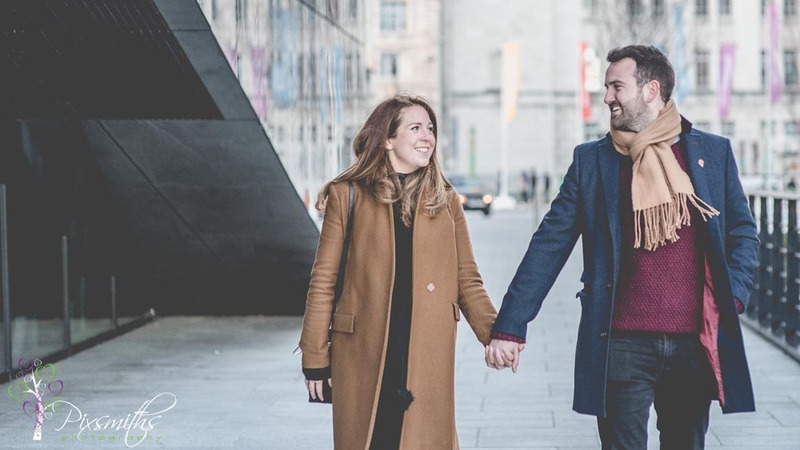 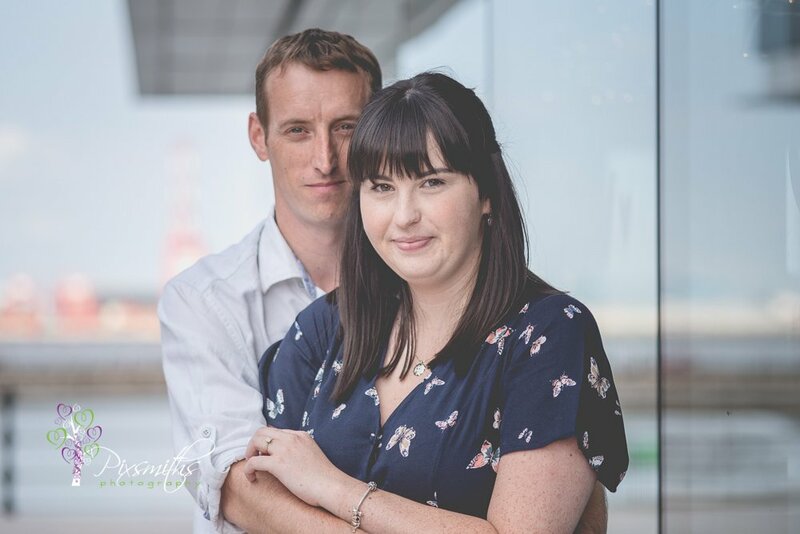 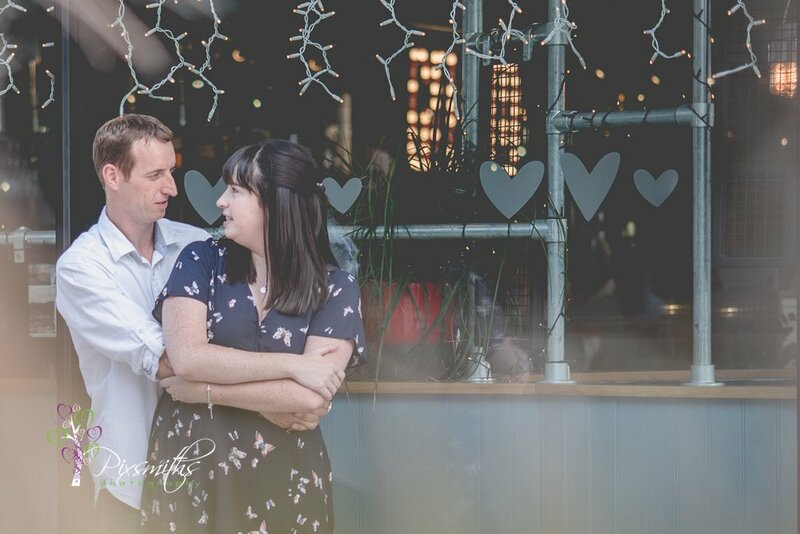 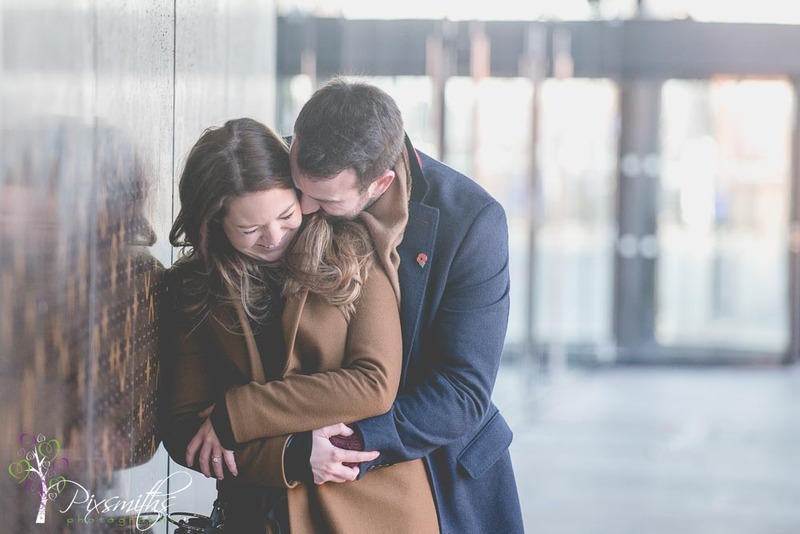 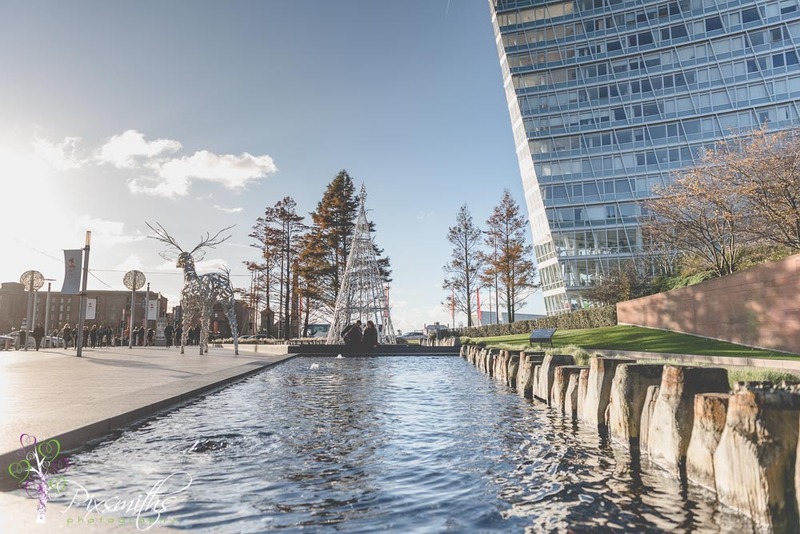 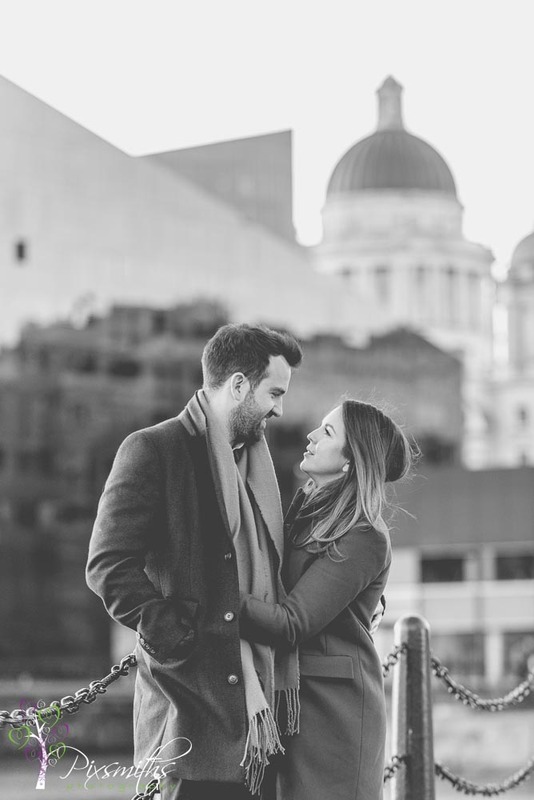 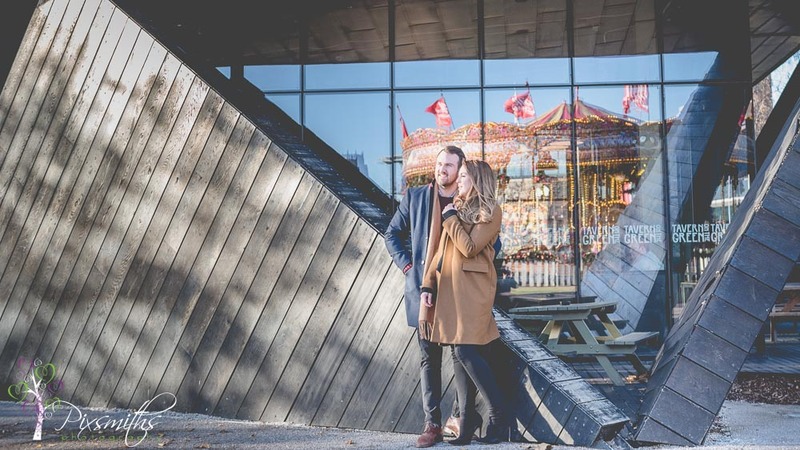 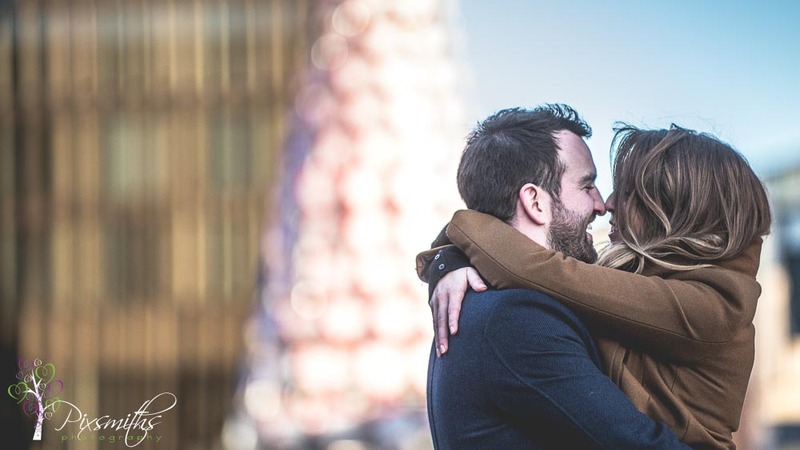 We had been looking forward to shooting a city centre pre wedding shoot for a while – makes a change from parks and beaches where we normally shoot. 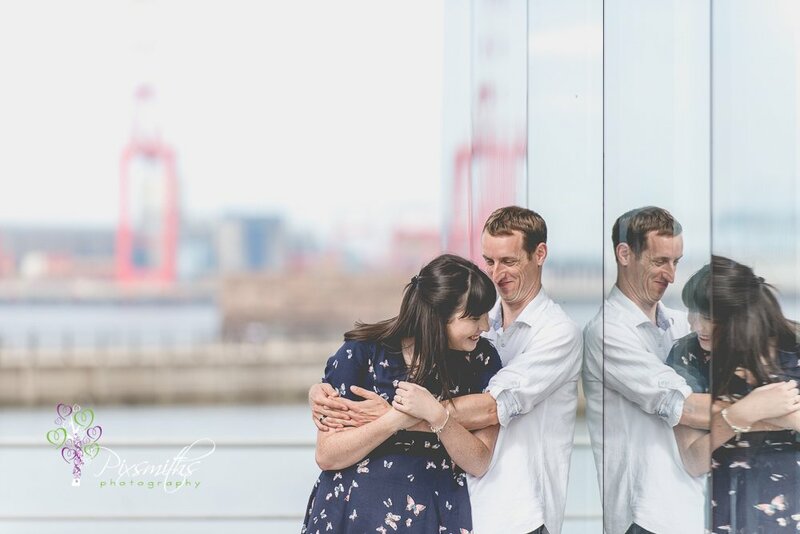 Now Stephanie had said Laurence was a bit shy, but honestly you wouldn’t know it. 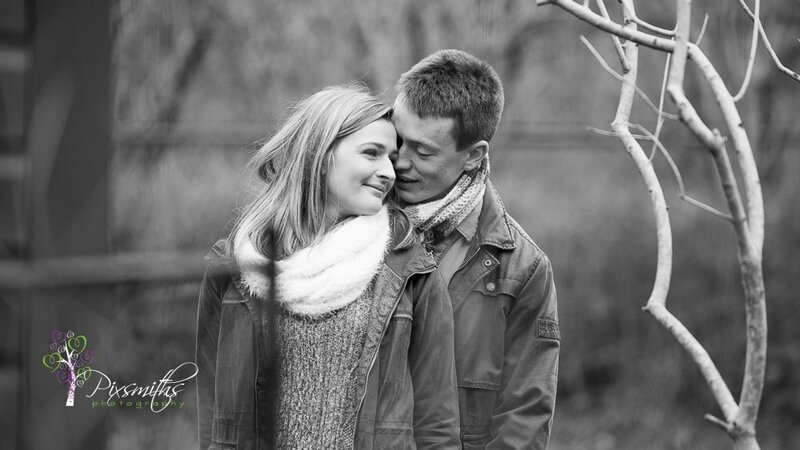 We just tell our couples not to worry about us and staring down the camera, just be yourselves. 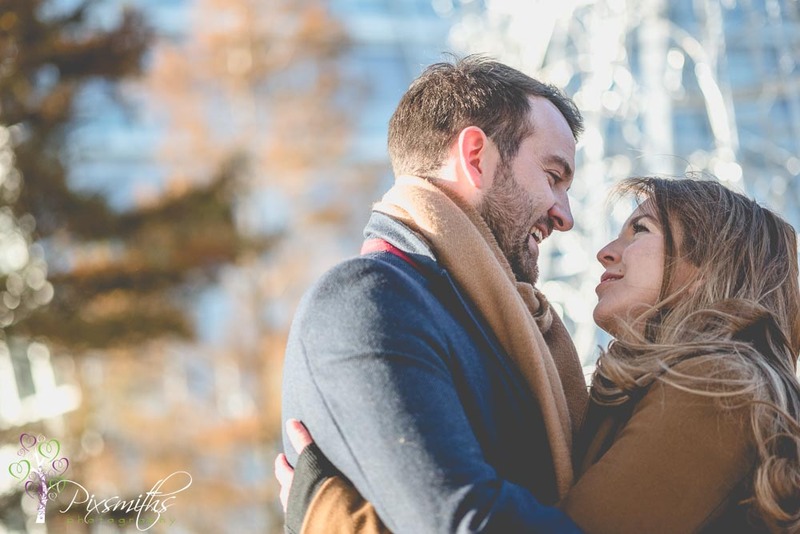 That’s exactly what Stephanie and Laurence did. 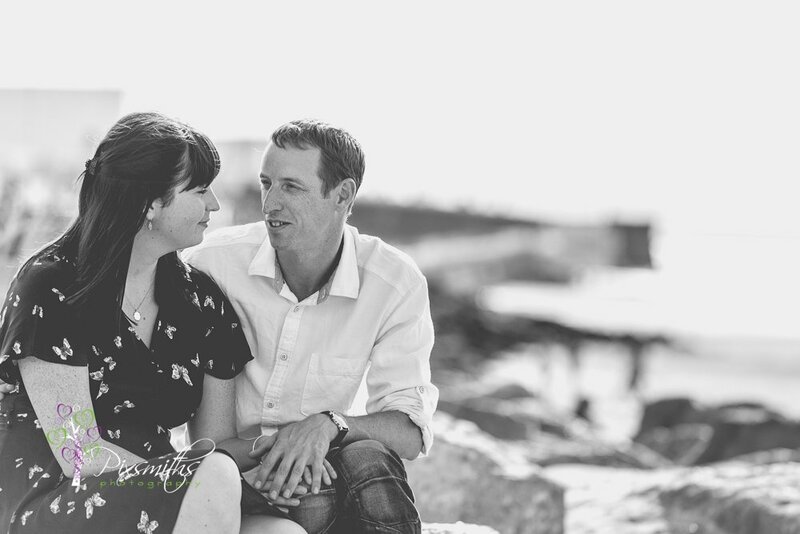 We also got to enjoy cake and tea whilst we chatted through the timeline for the upcoming wedding day. 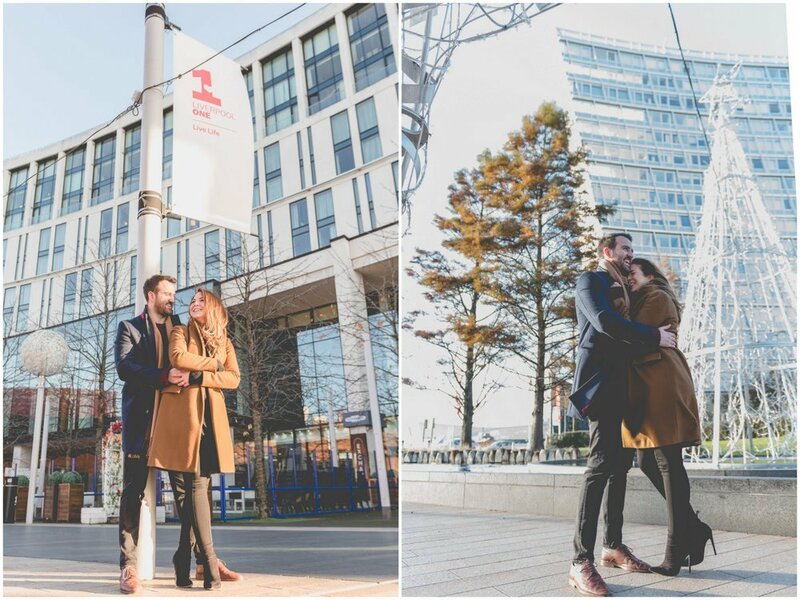 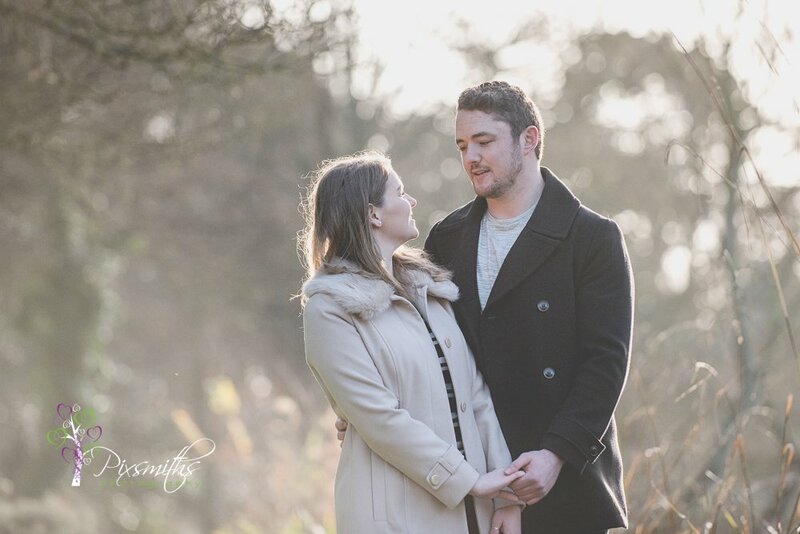 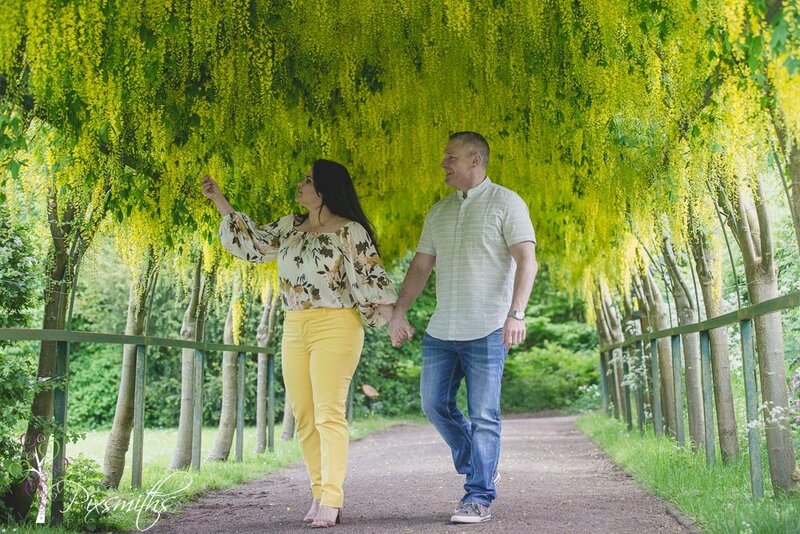 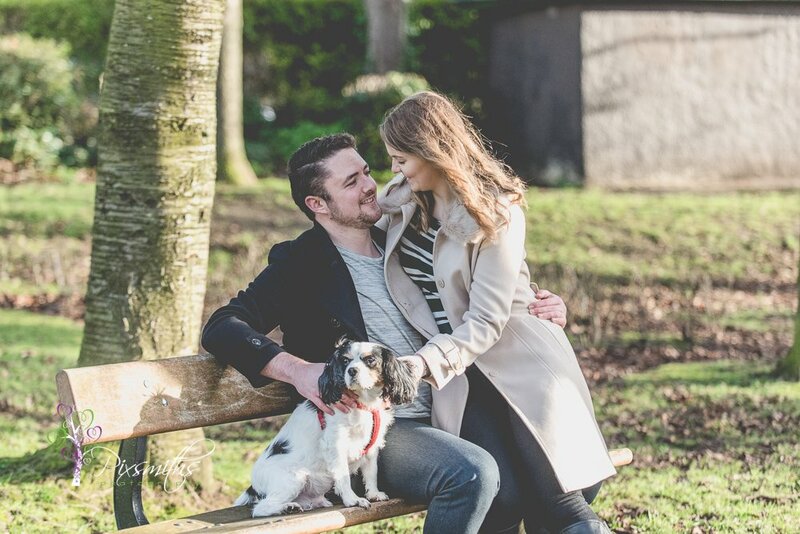 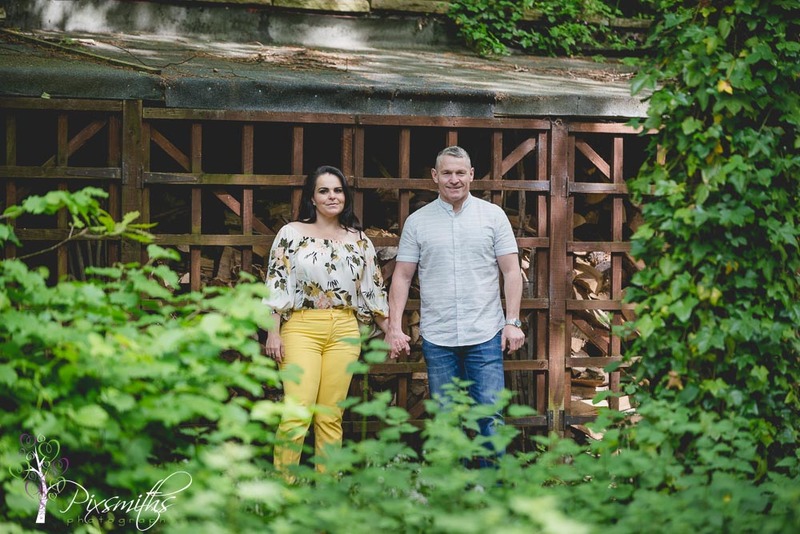 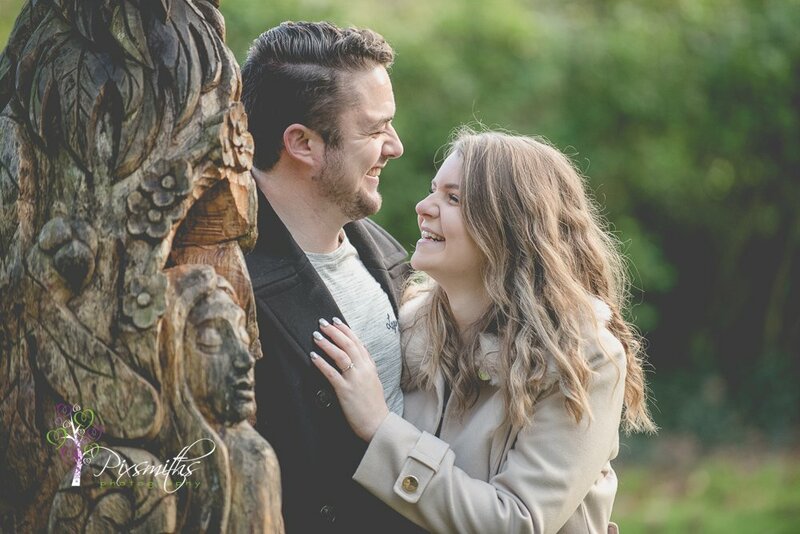 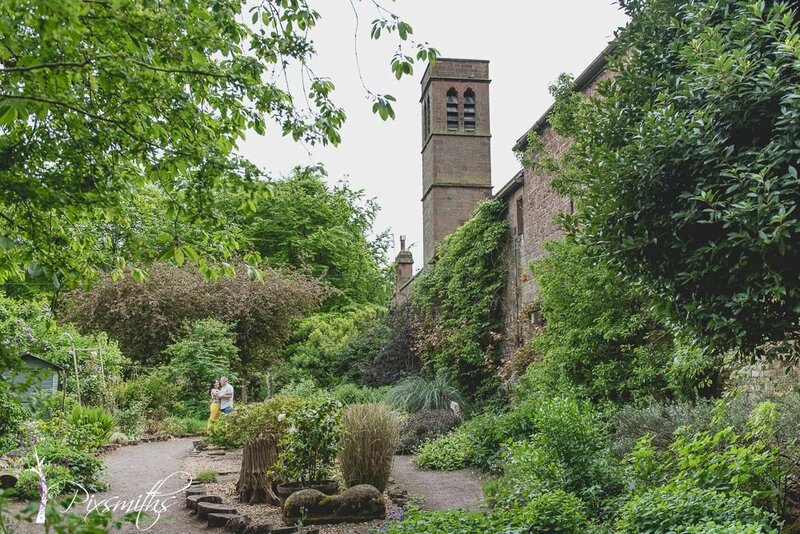 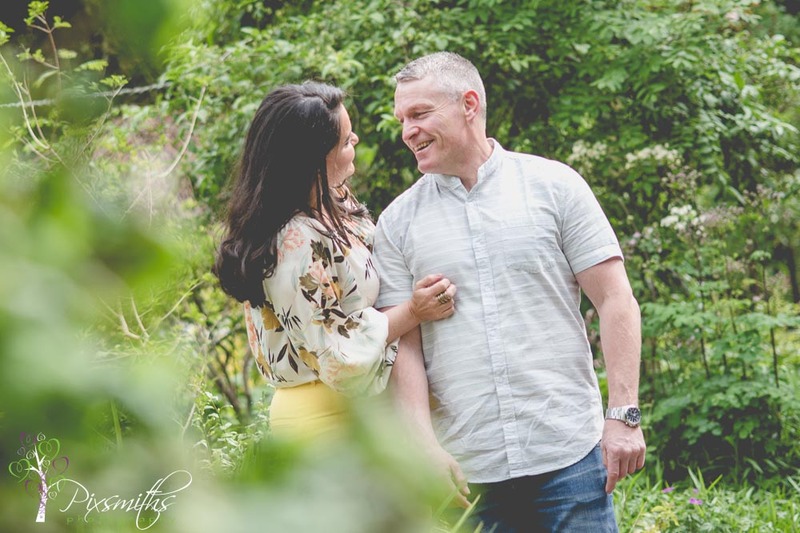 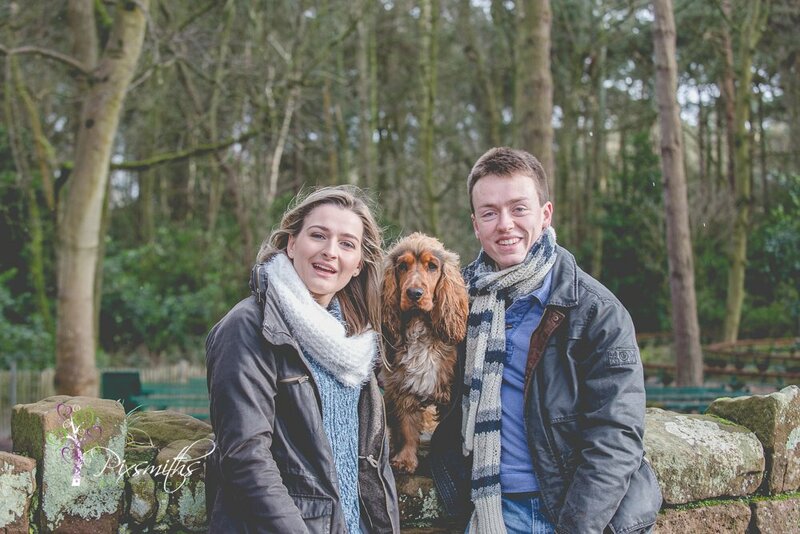 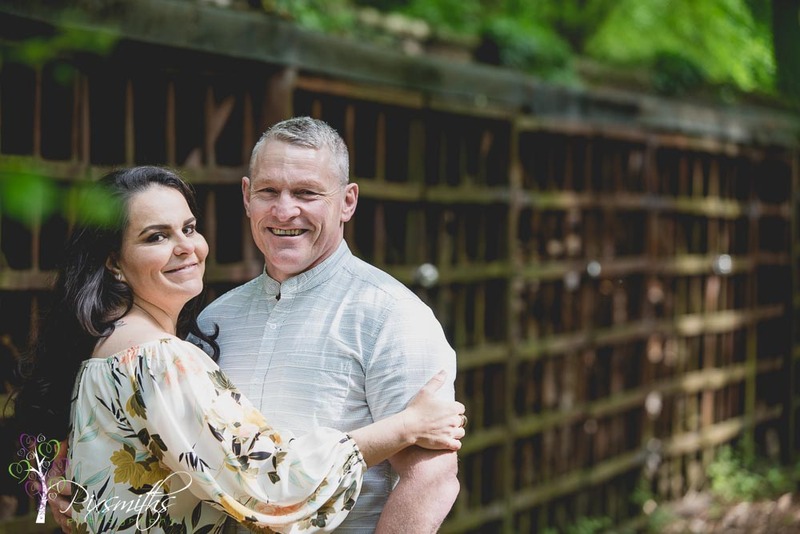 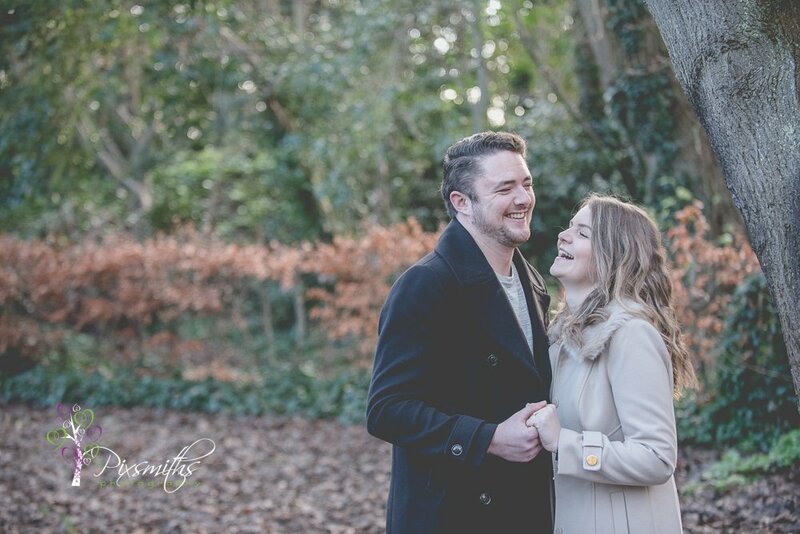 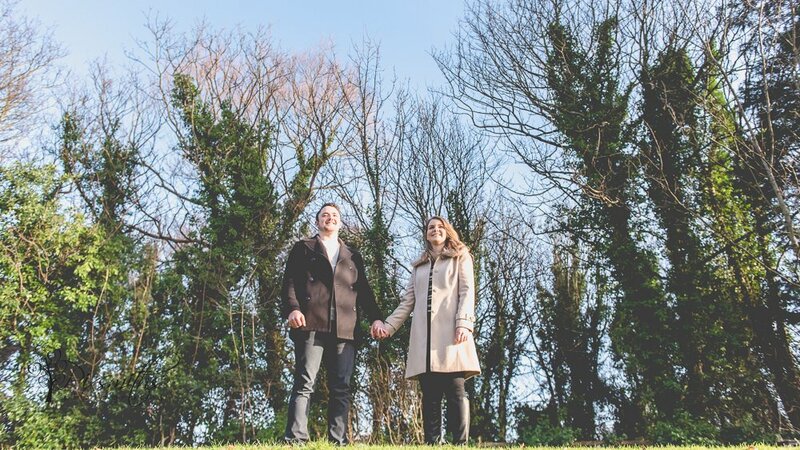 We always enjoy our pre wedding shoots and judging from these images you can see how Stephanie and Laurence enjoyed their time too with us. 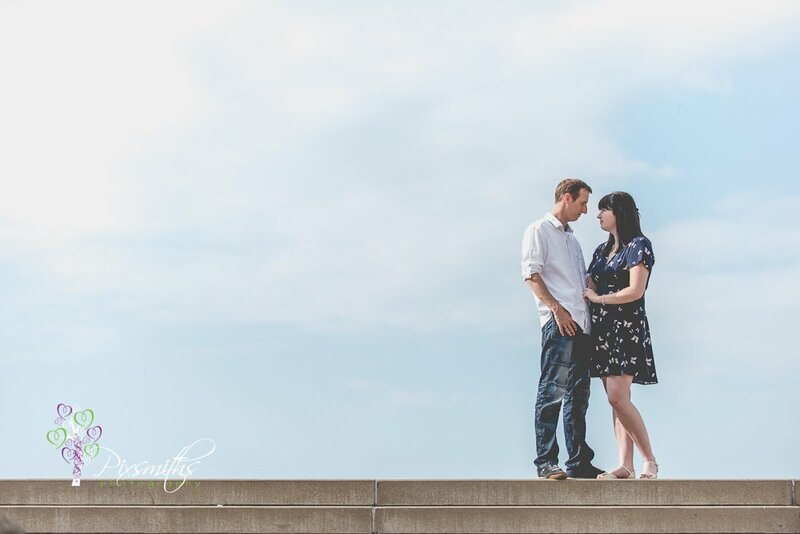 They were naturals and were so at ease with each other and us it truly was a joy. 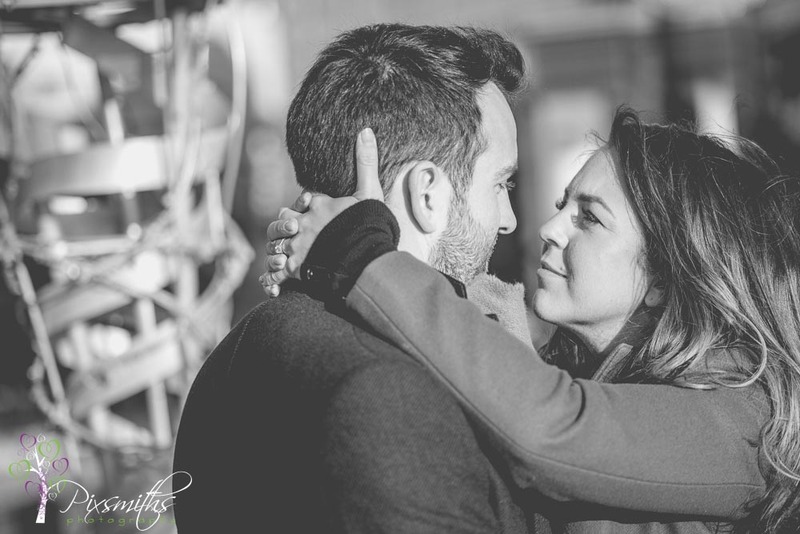 Such chemistry, they could melt ice-bergs! 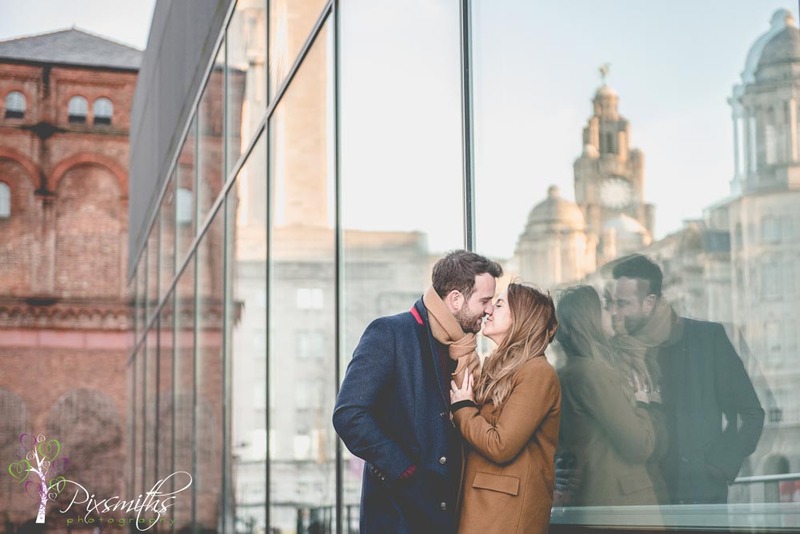 Thank you for picking Liverpool for your session. 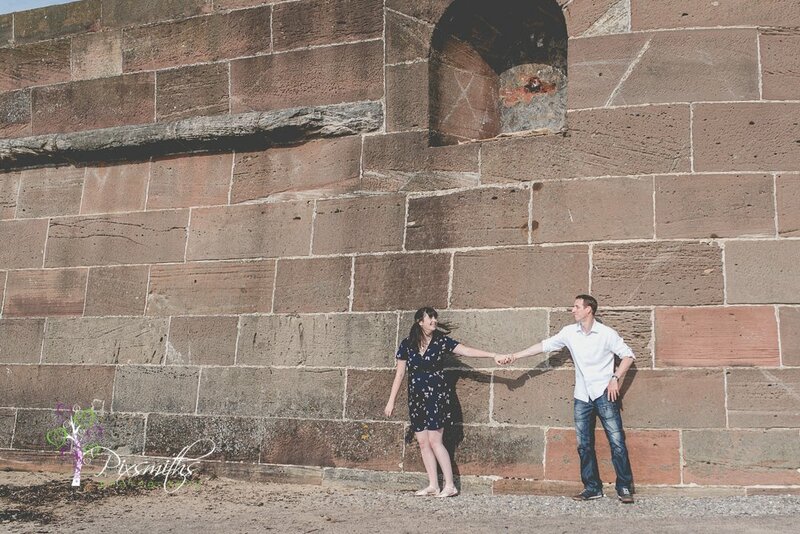 So many places we could have chosen but we enjoyed some of the less obvious ones. 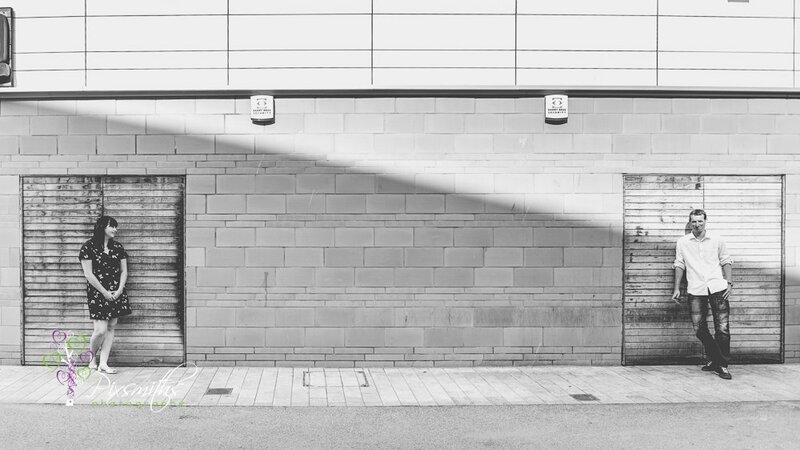 Enjoy these few highlights below. 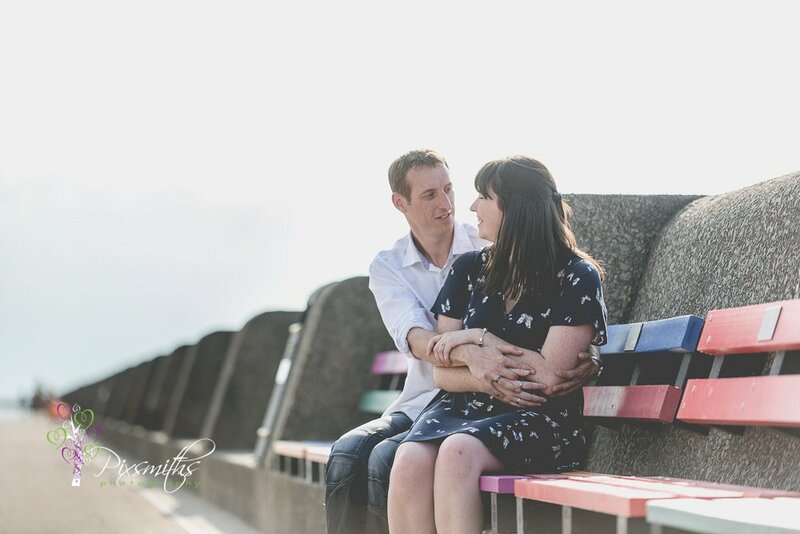 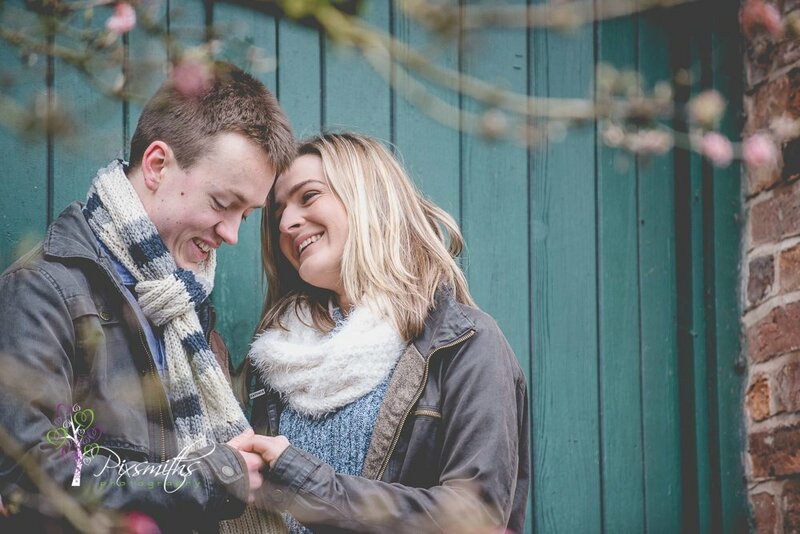 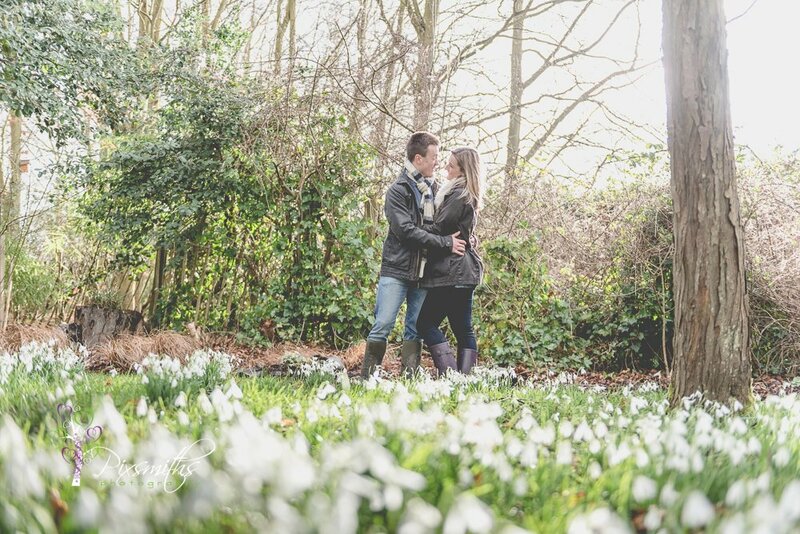 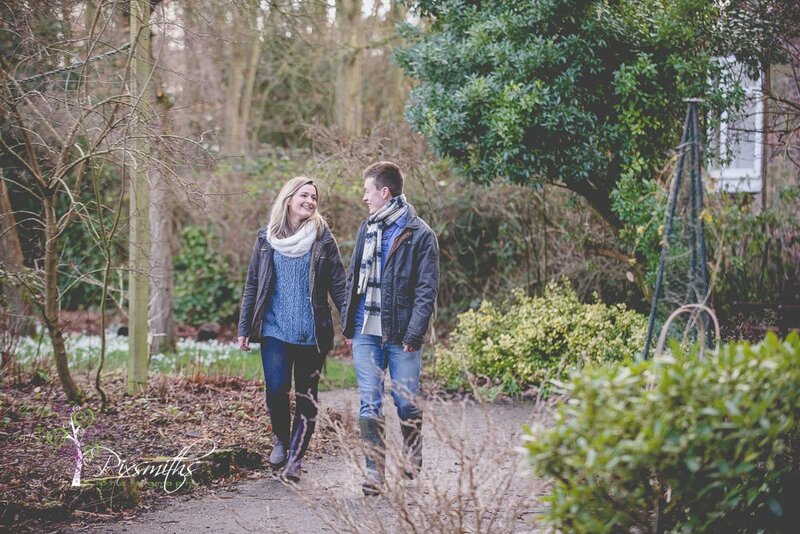 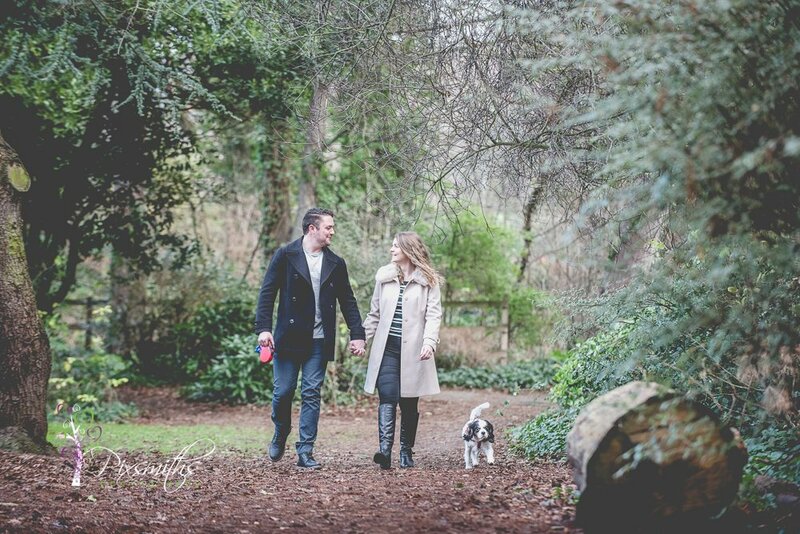 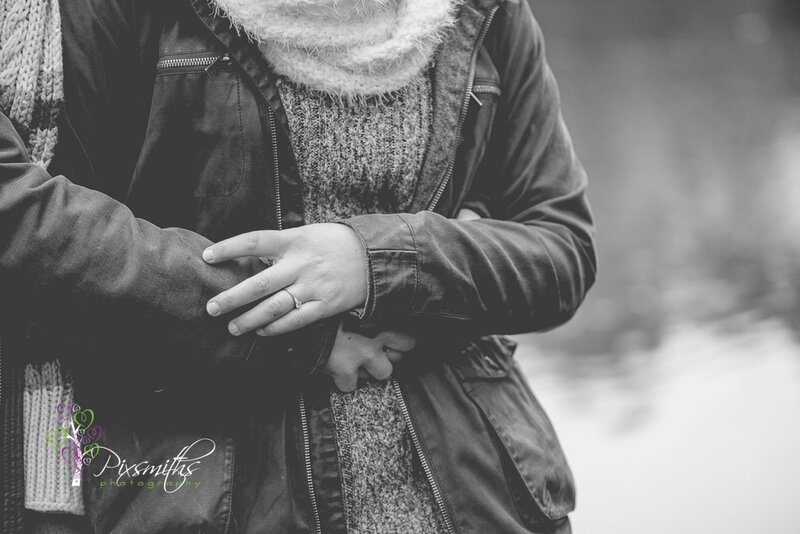 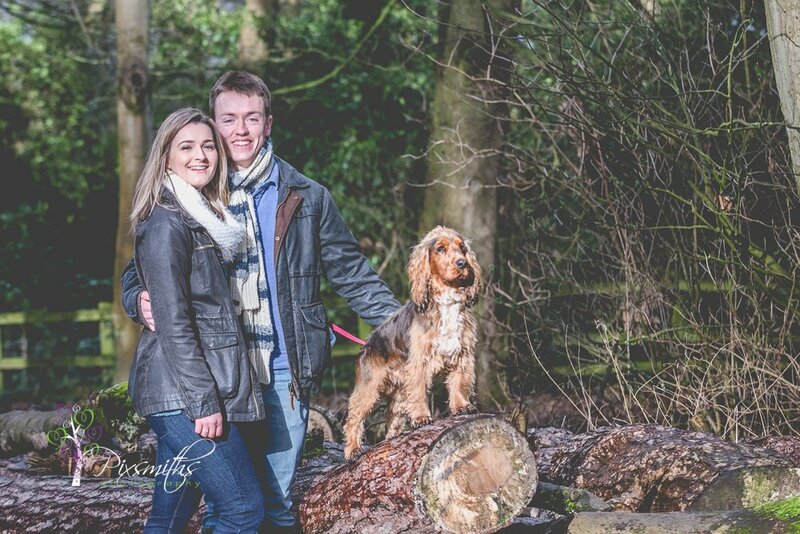 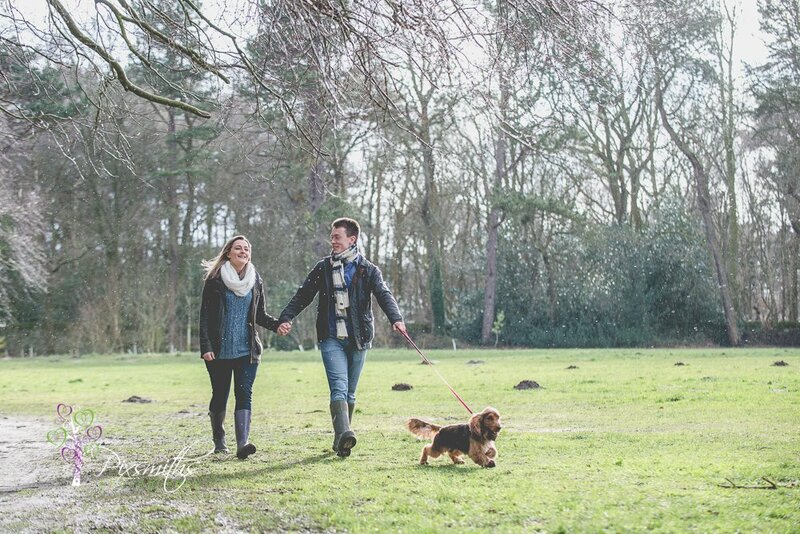 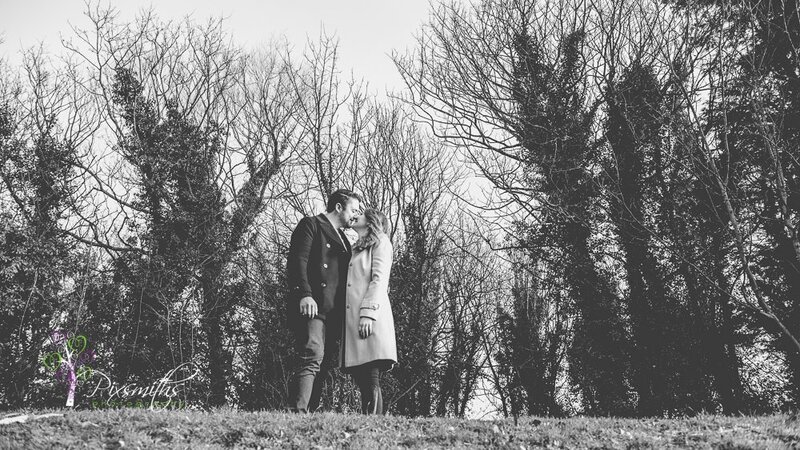 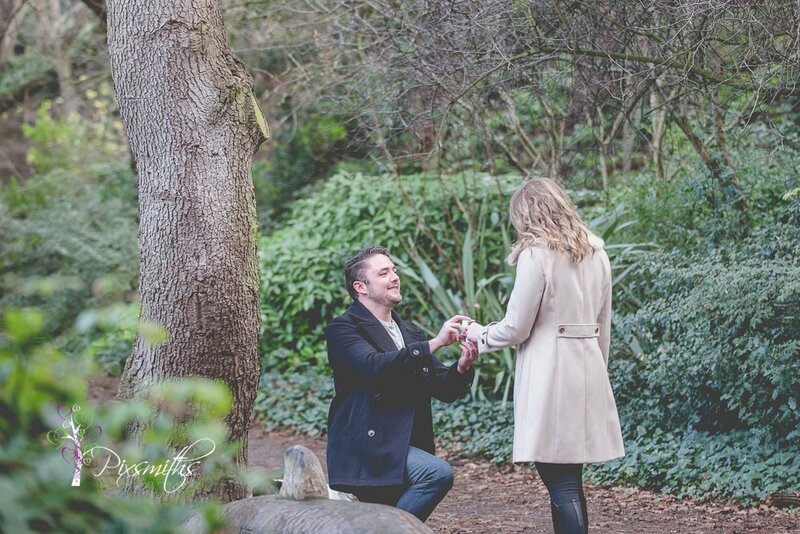 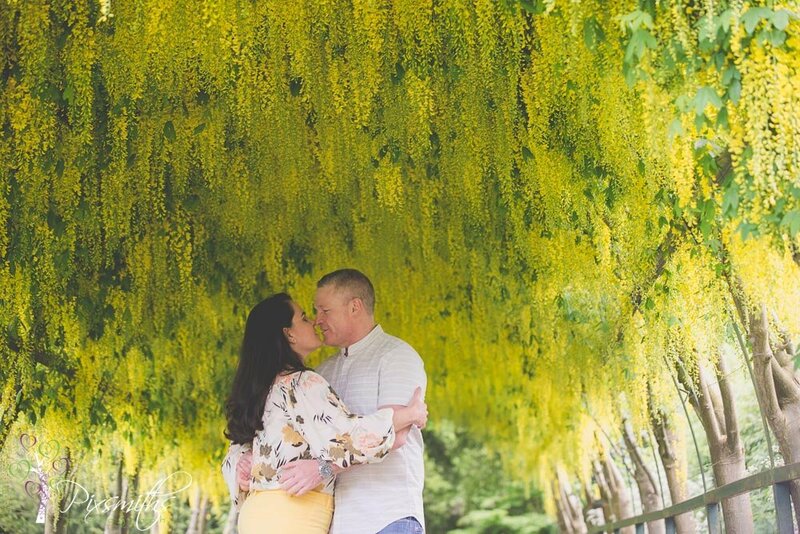 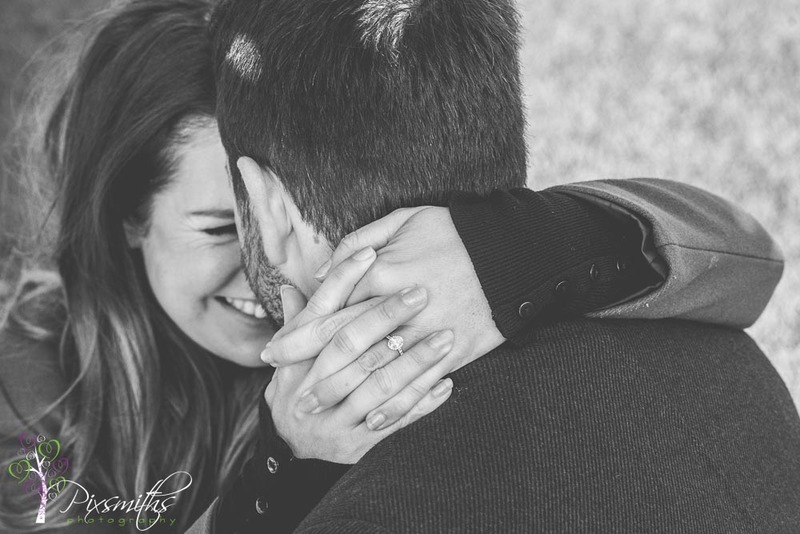 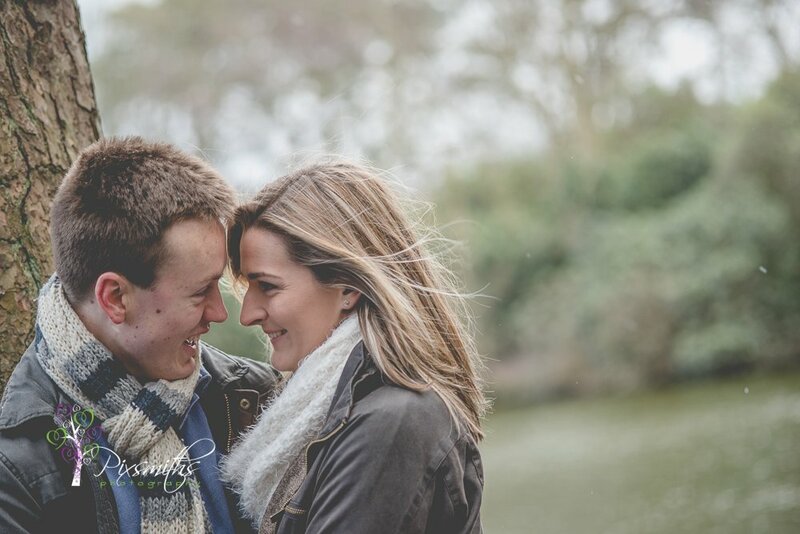 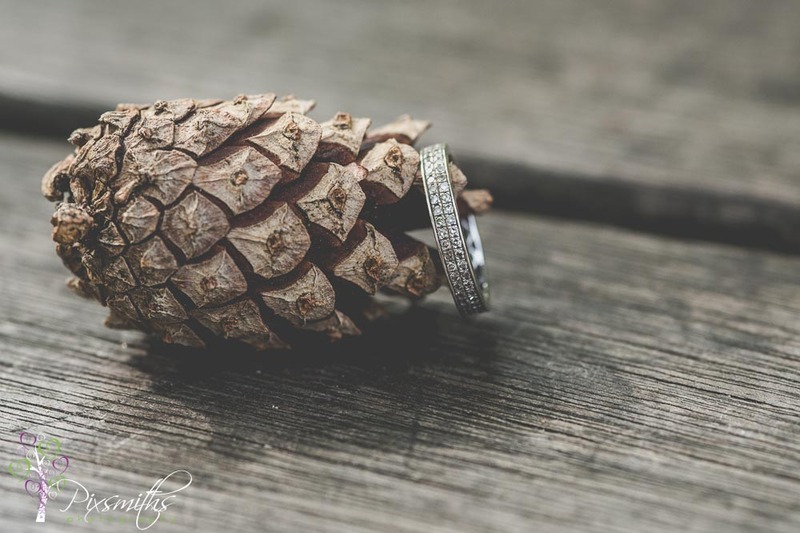 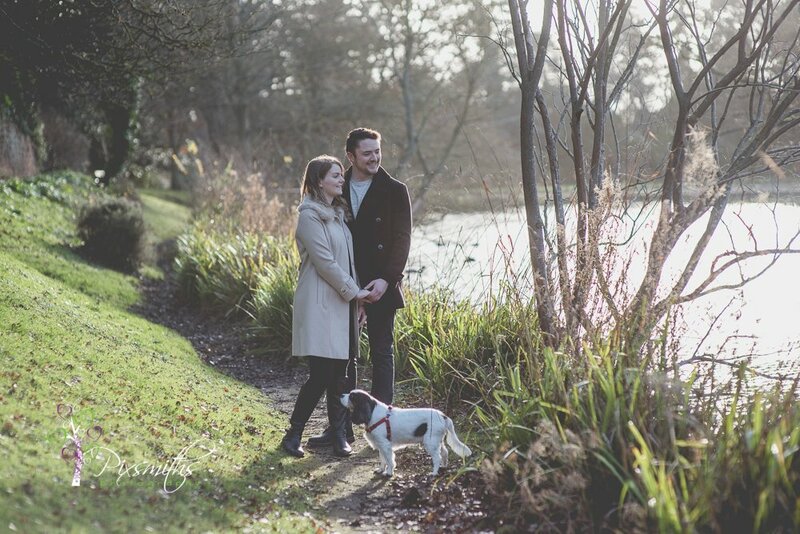 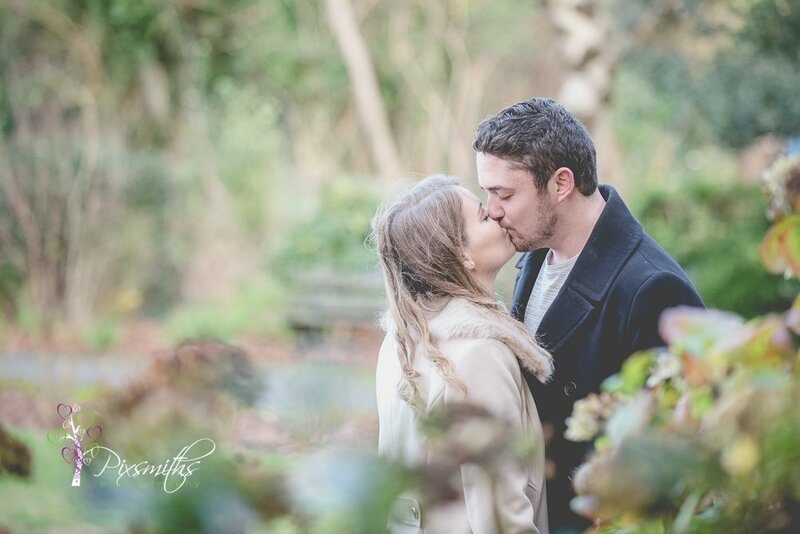 If you are interested in a couple shoot – whether engaged or not or for an anniversary shoot, please do get in touch.